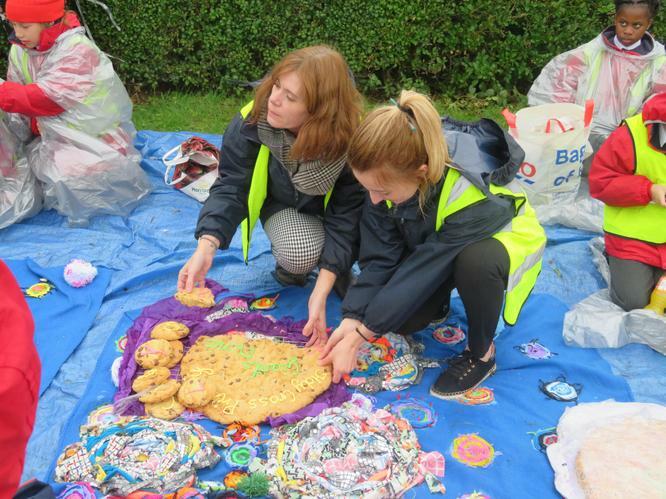 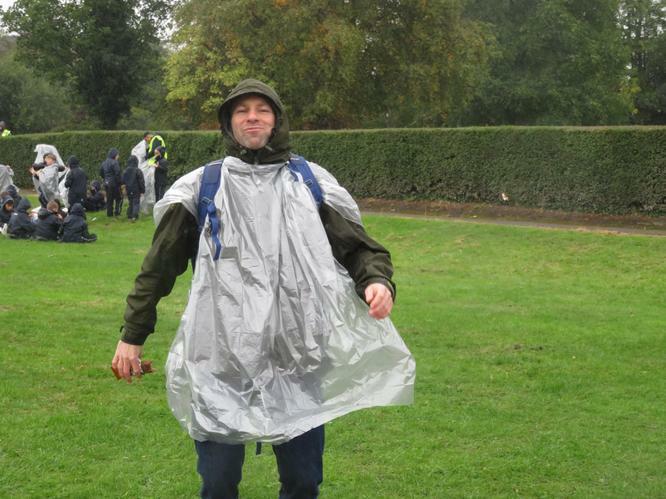 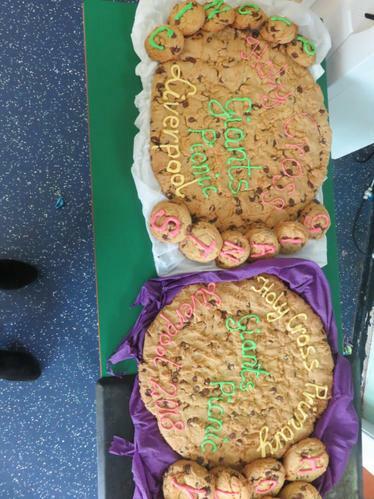 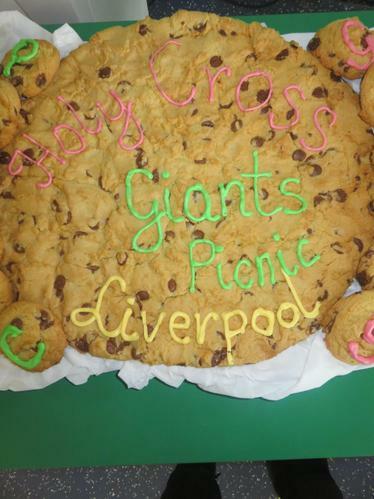 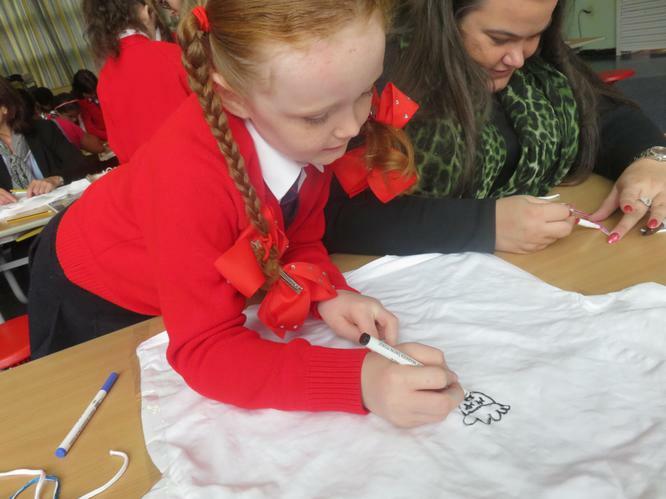 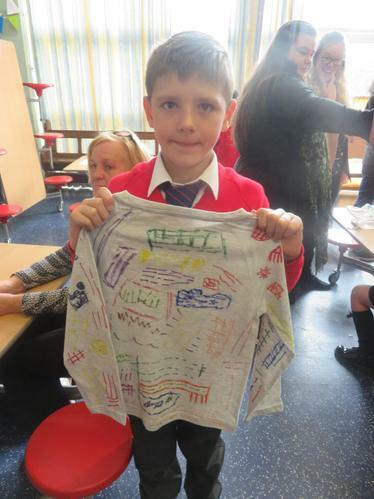 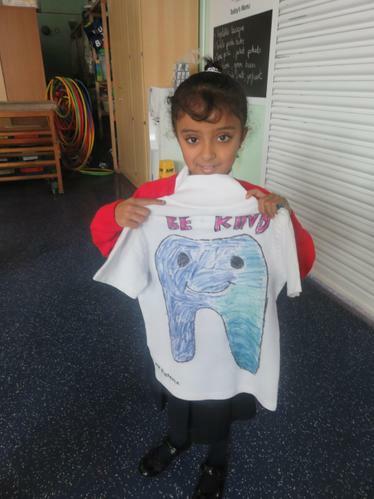 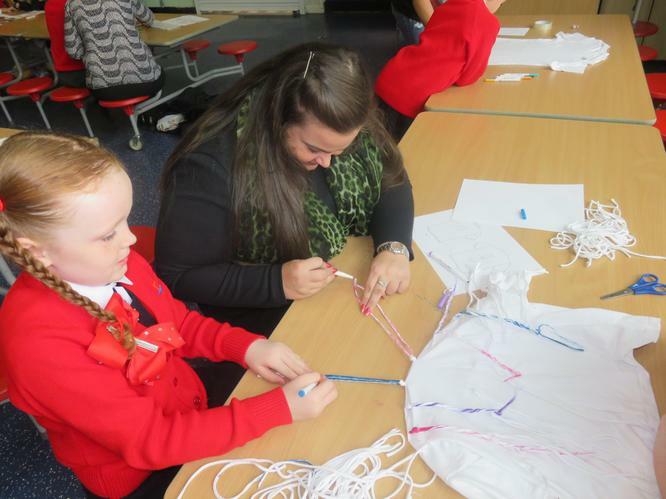 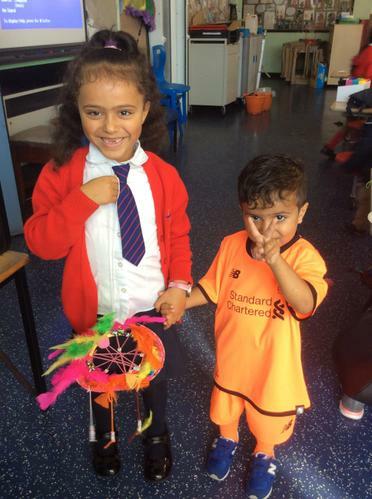 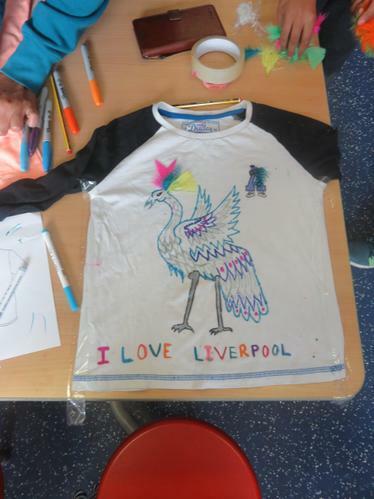 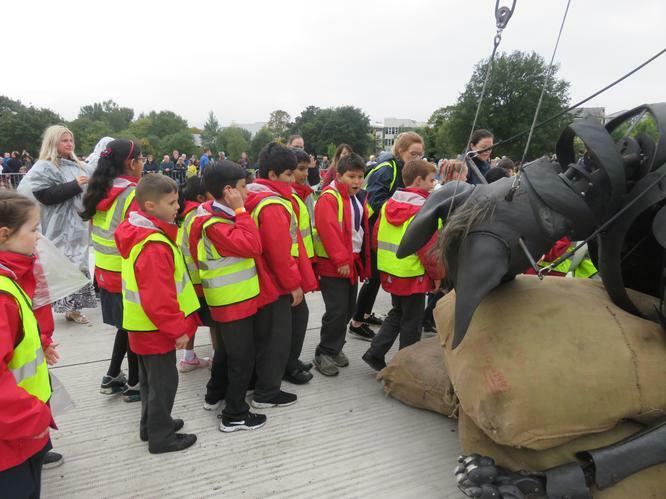 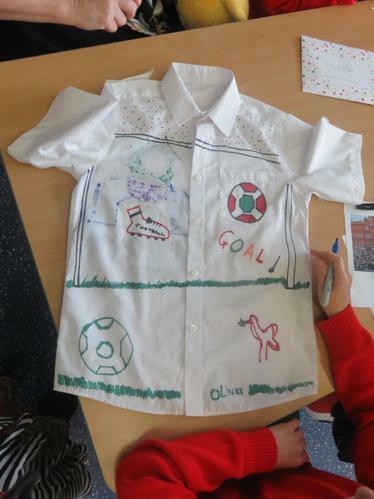 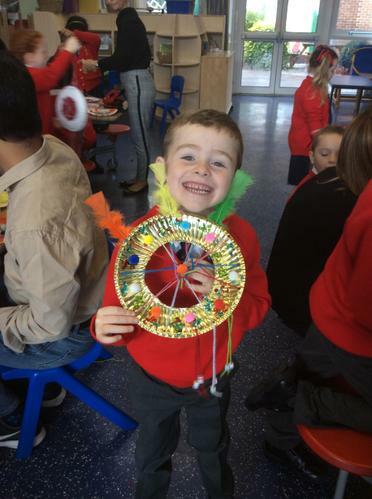 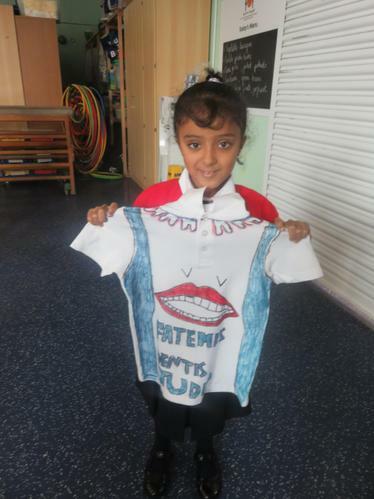 To celebrate the return of the Giants to Liverpool we took part in many different events in school. 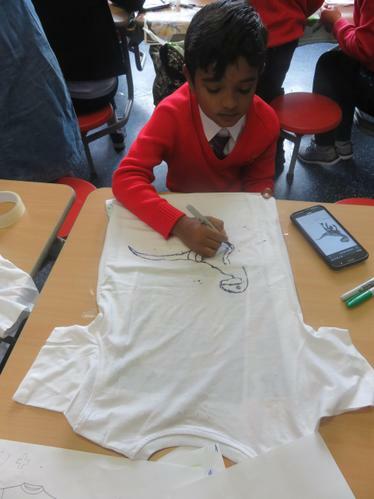 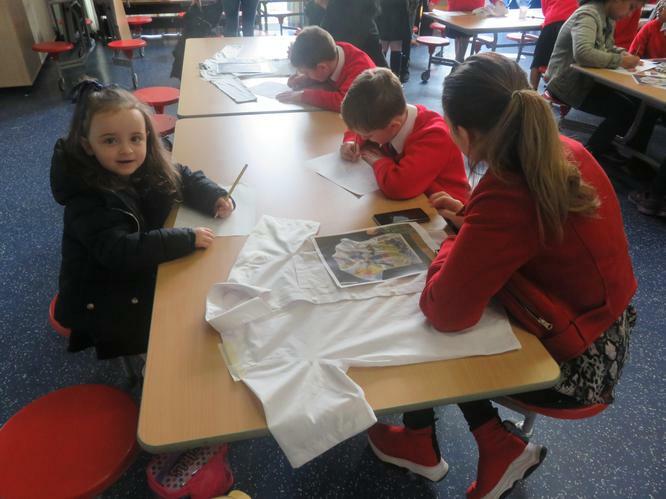 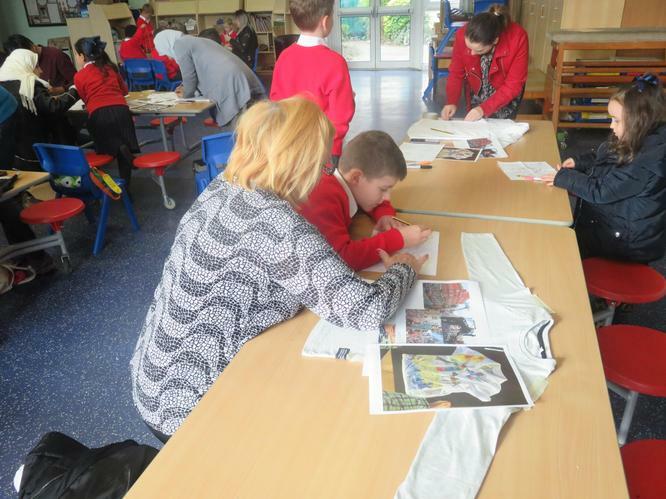 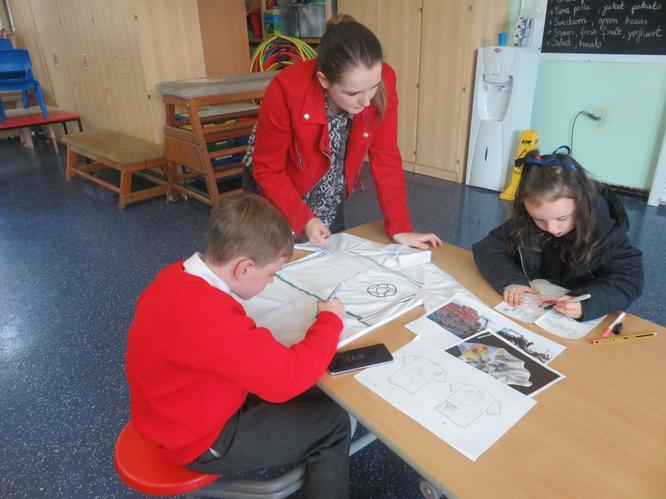 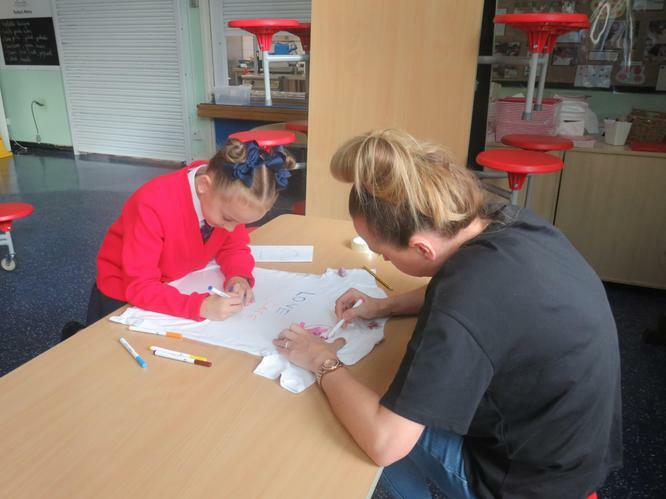 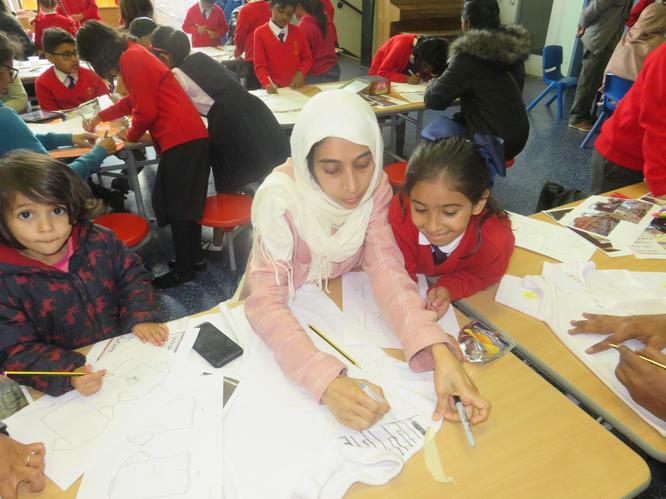 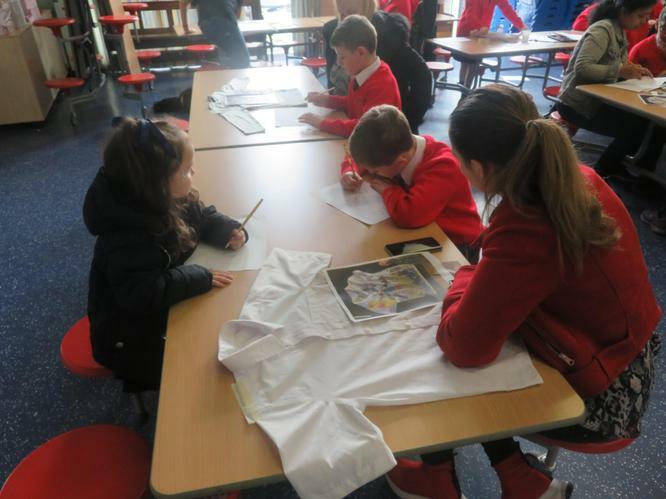 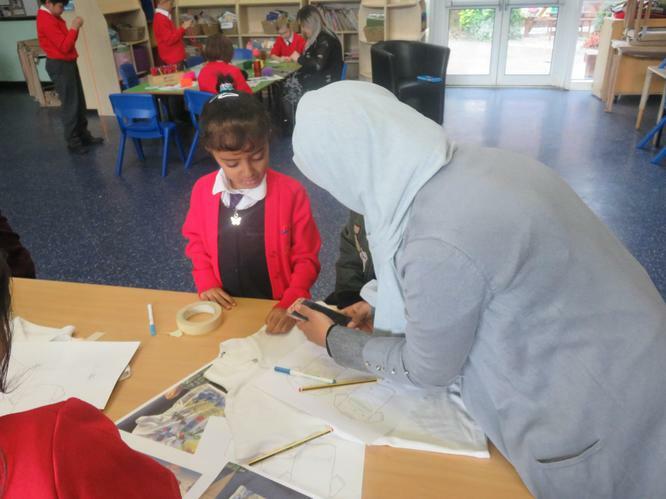 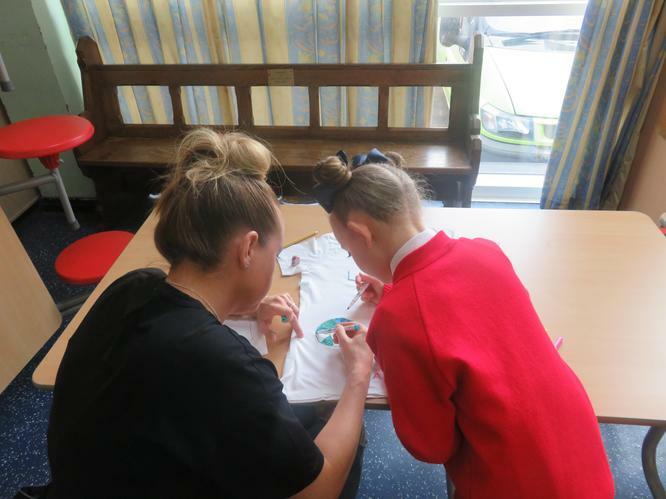 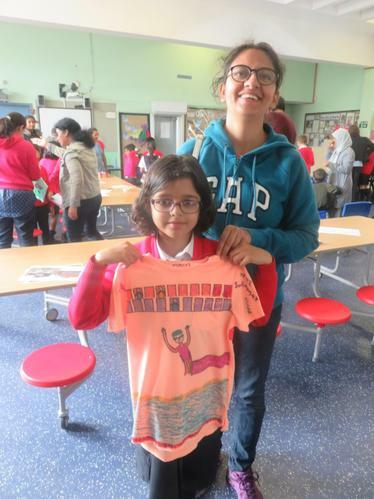 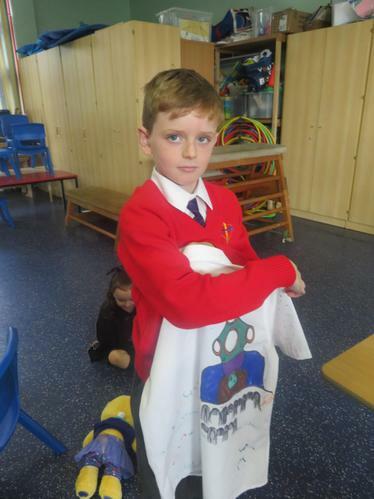 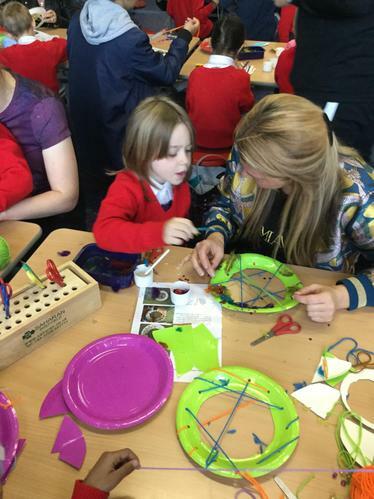 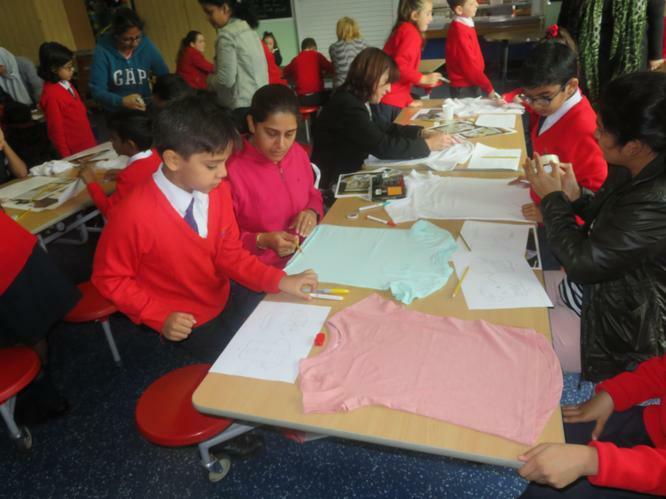 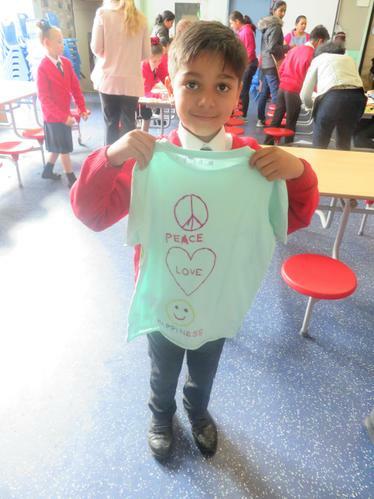 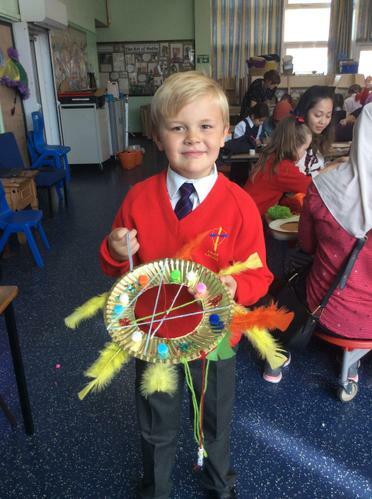 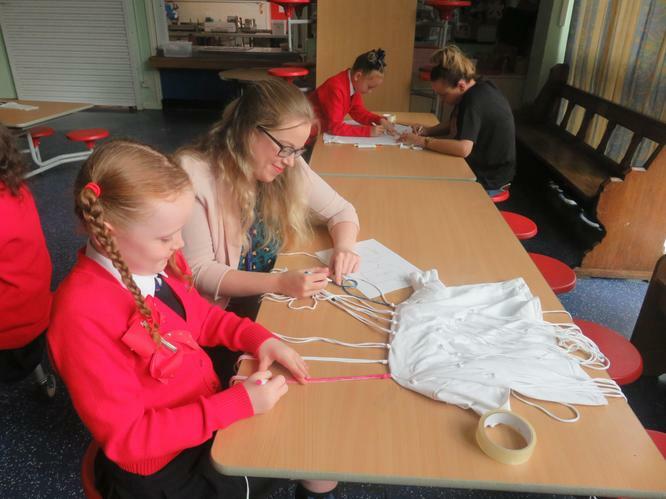 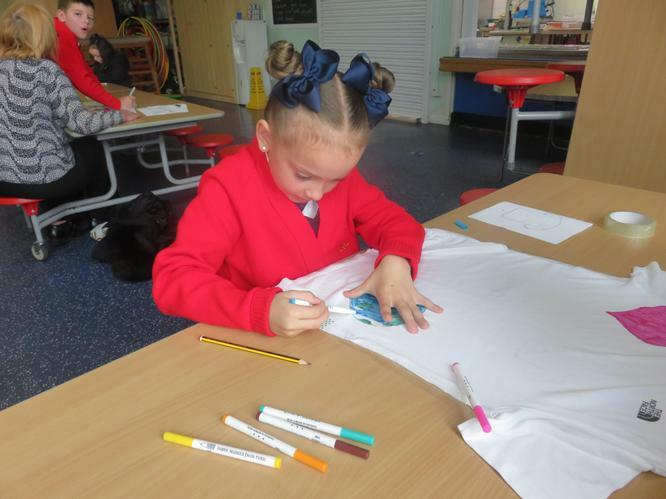 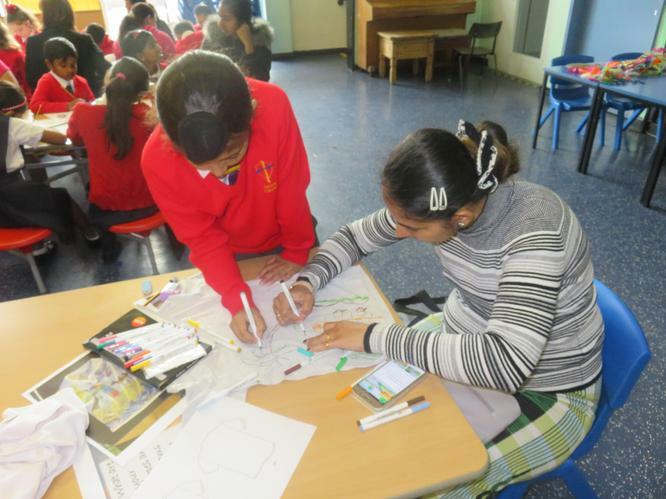 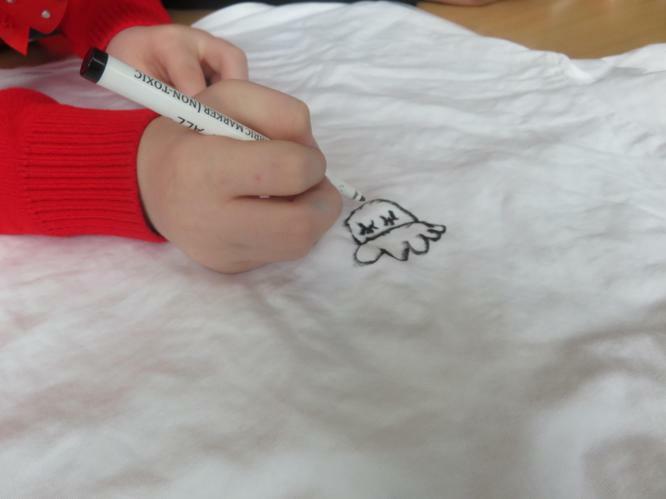 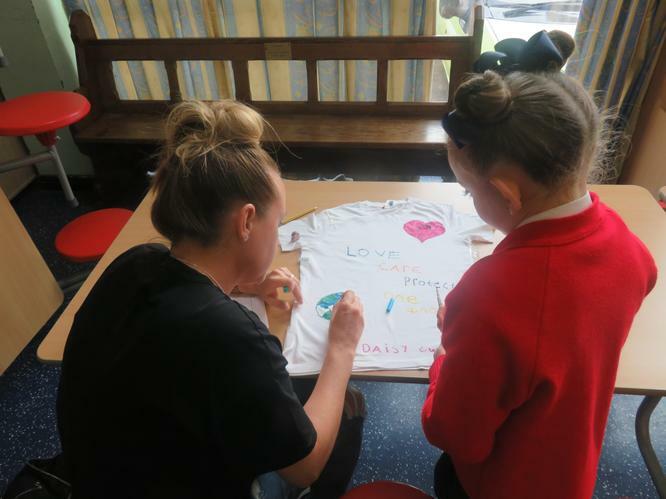 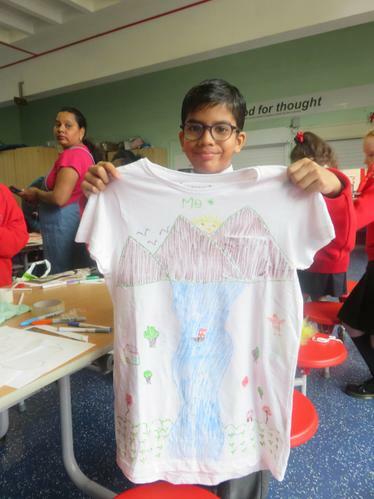 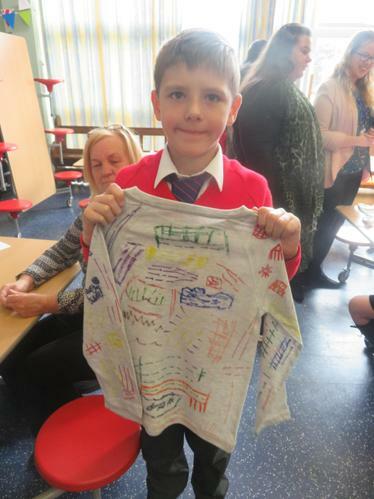 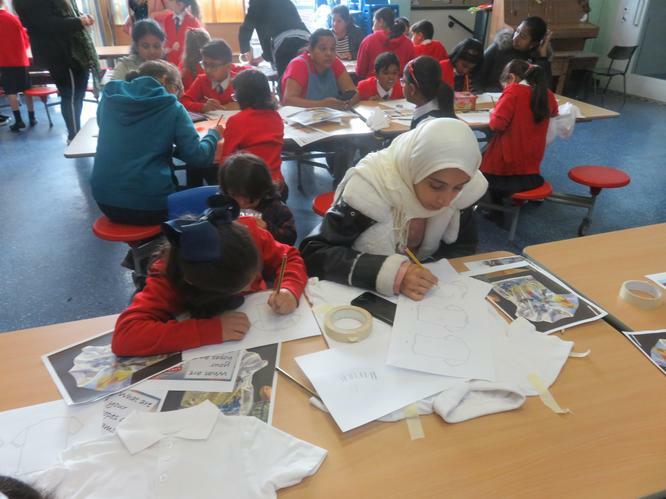 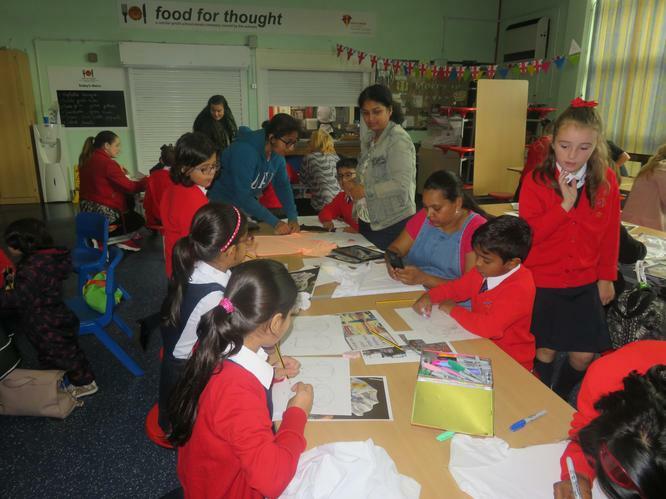 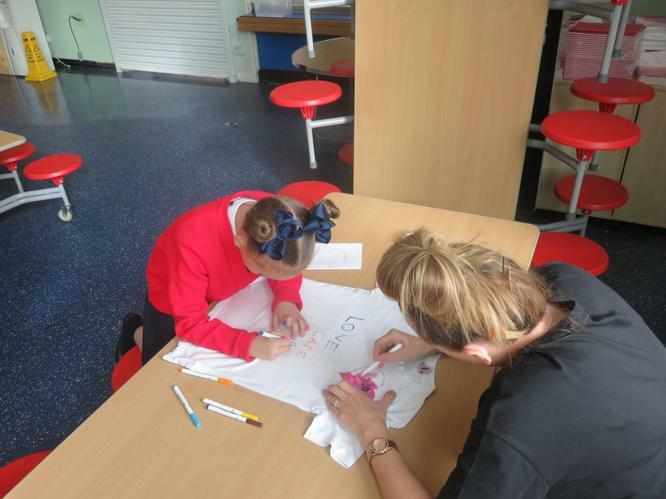 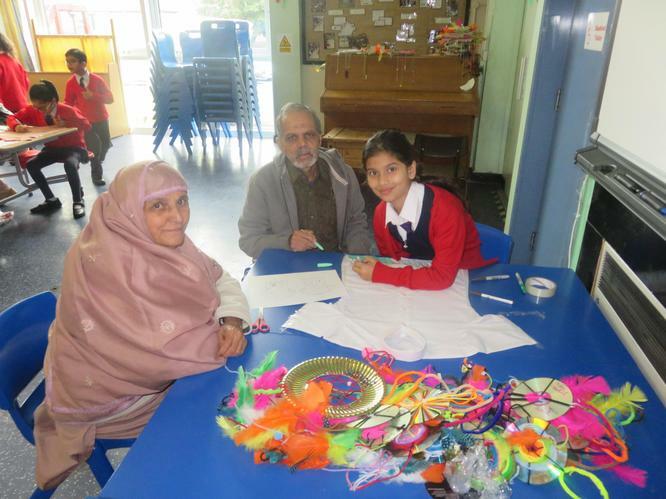 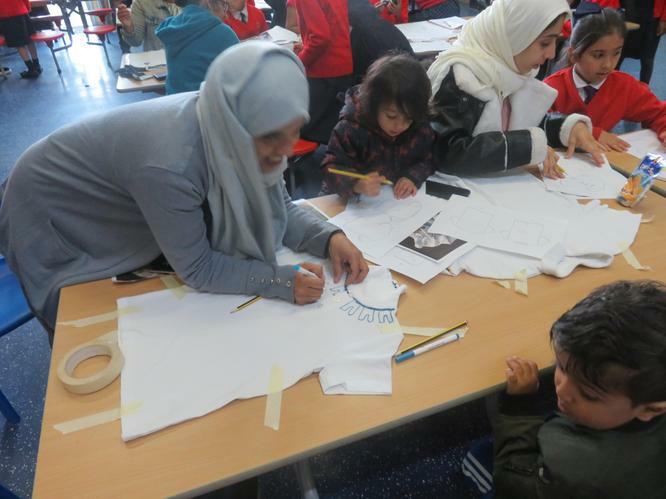 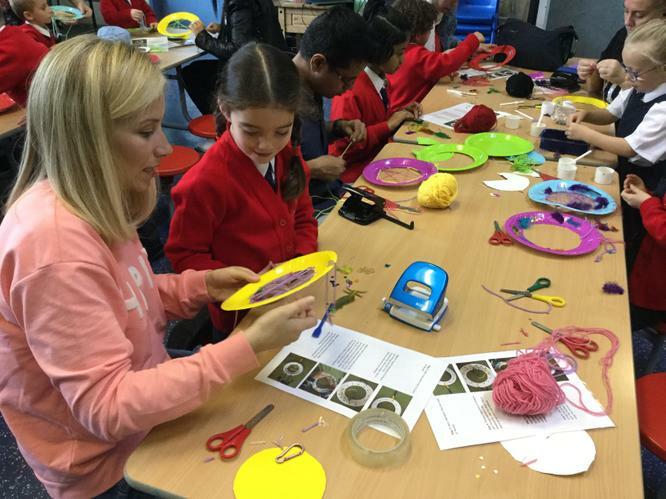 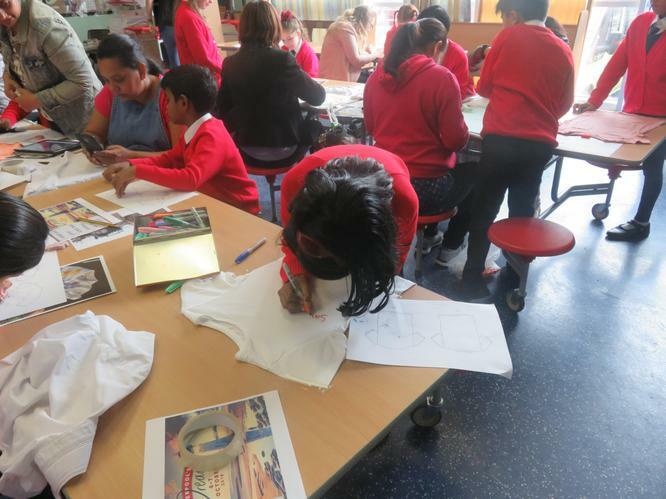 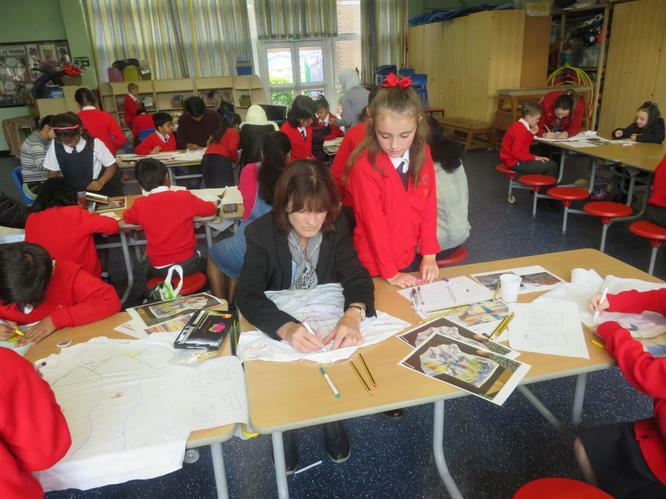 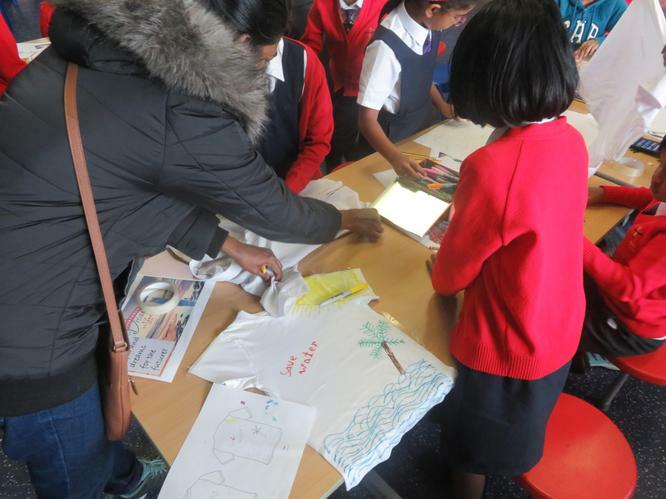 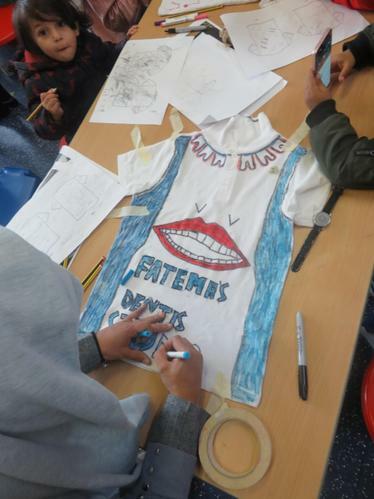 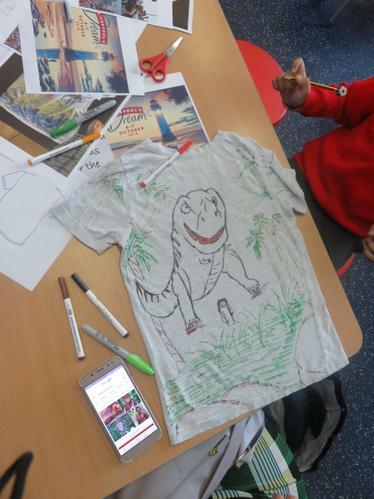 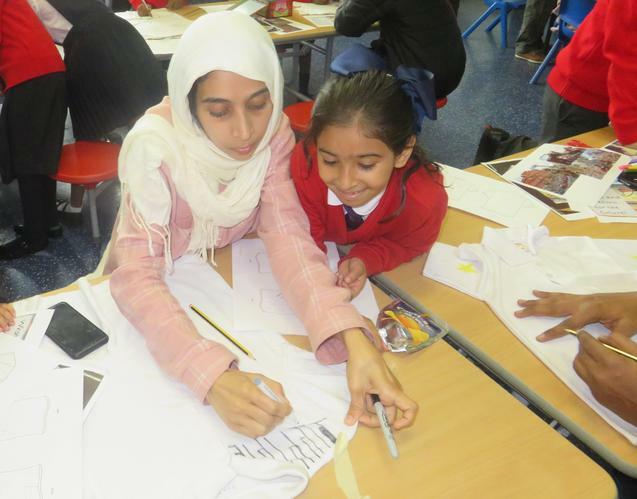 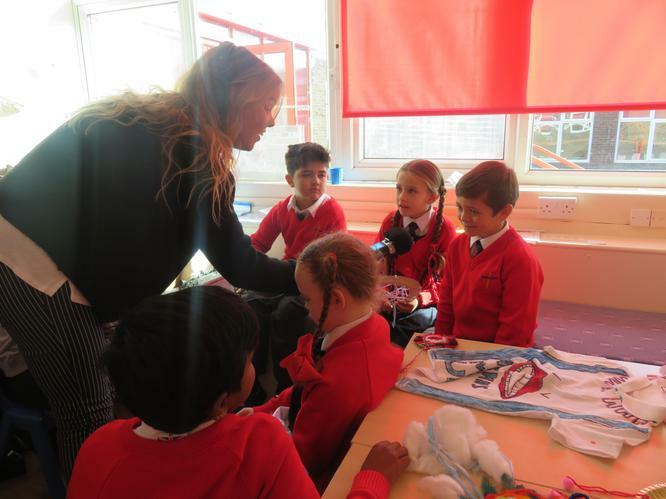 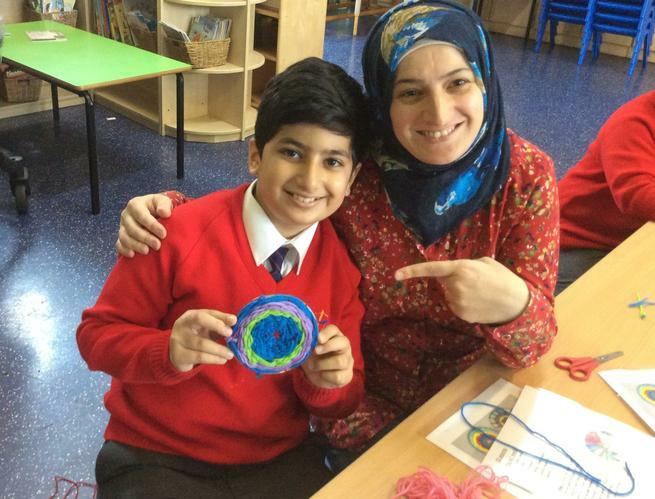 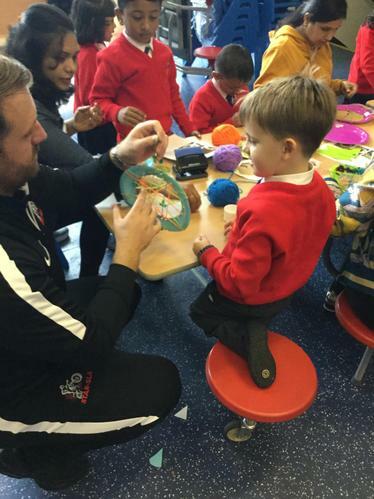 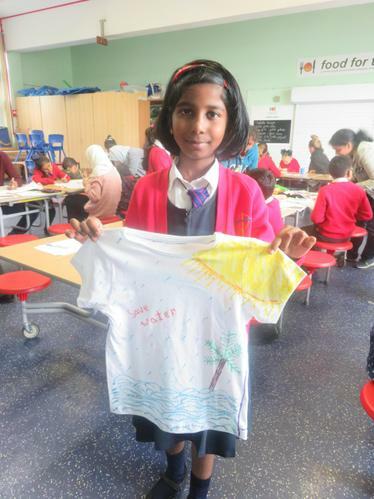 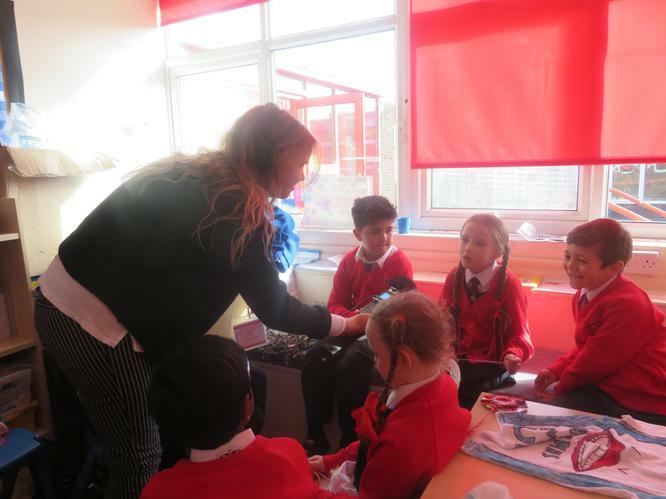 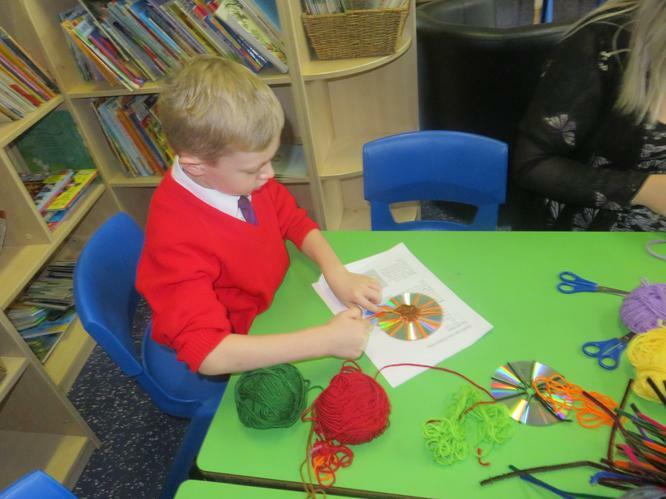 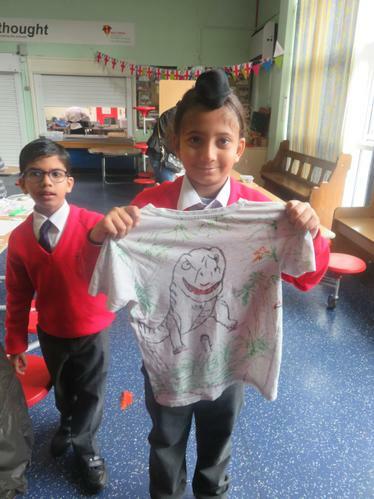 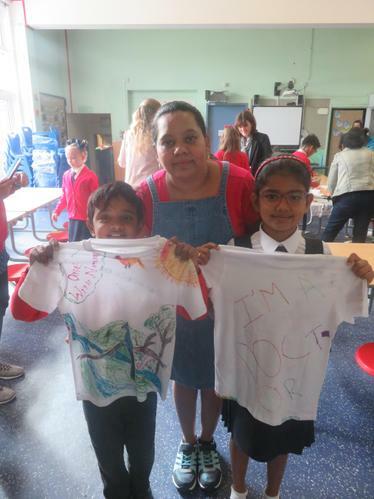 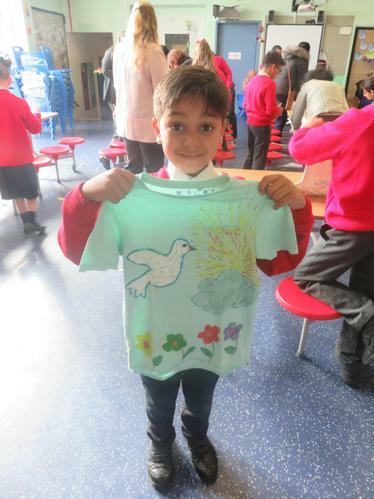 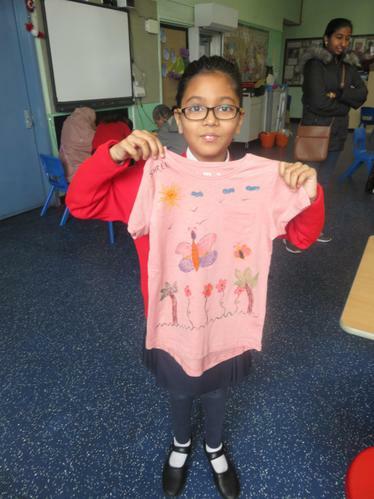 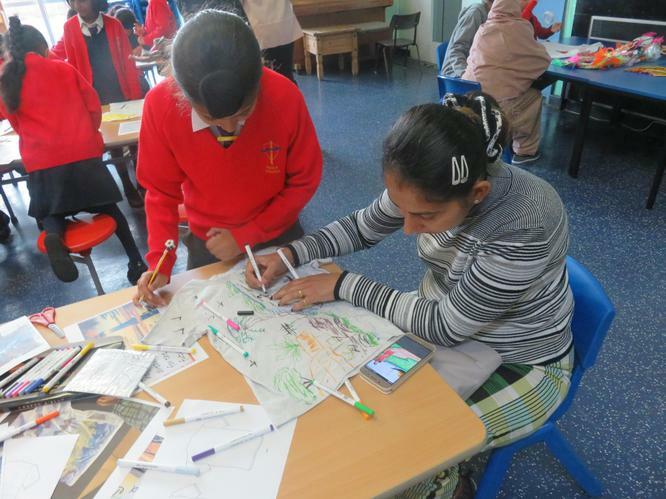 Firstly each year group had an art workshop with Miss Kronenburg, Parents/Guardians were invited into school to work on different projects. 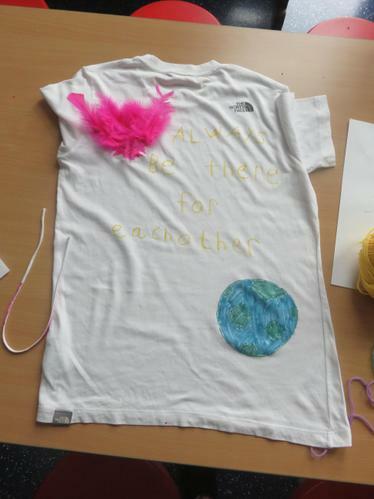 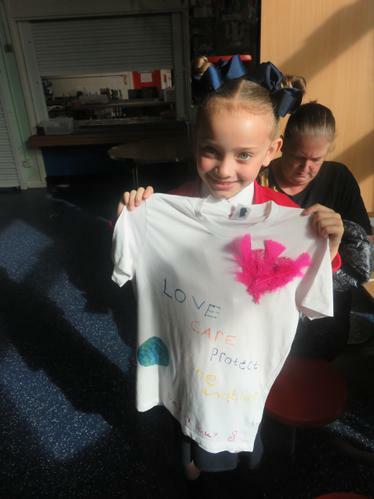 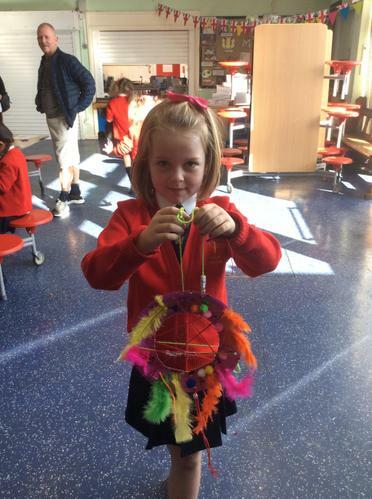 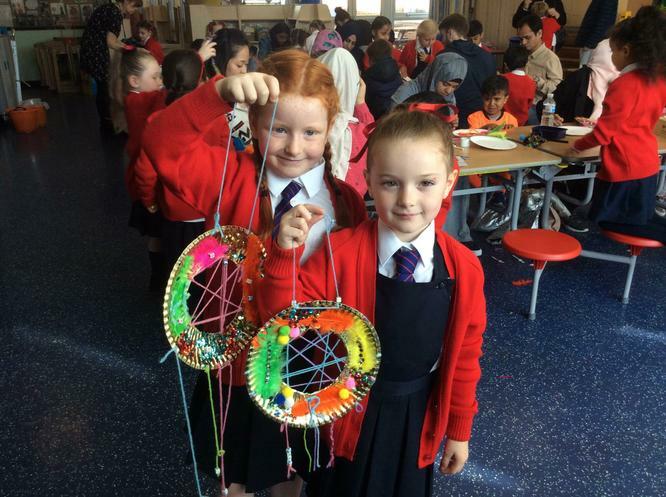 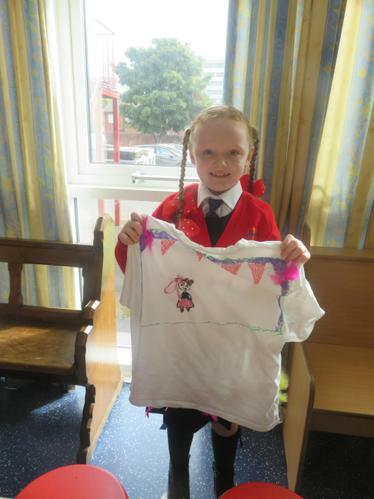 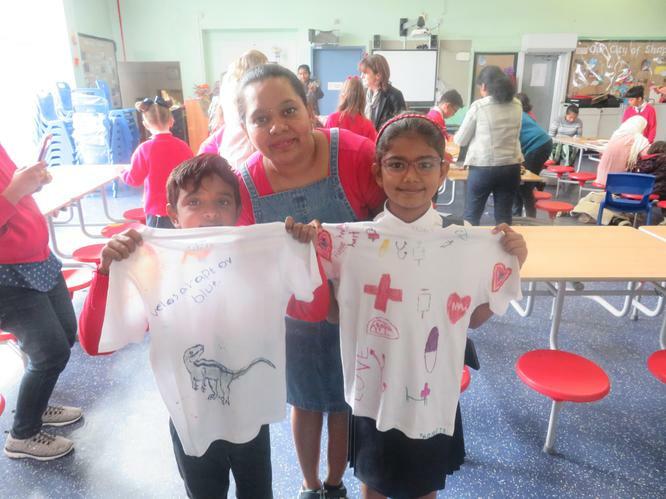 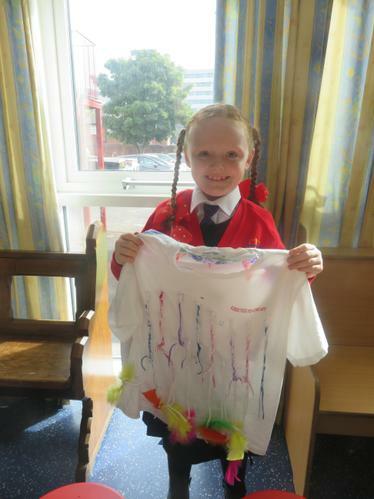 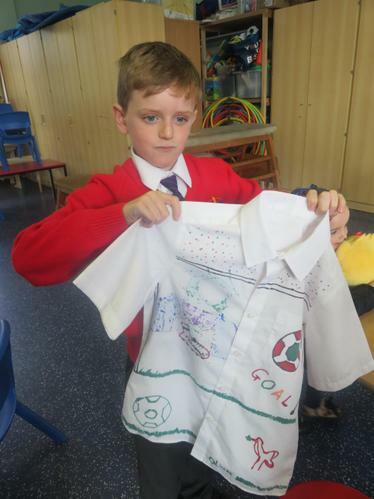 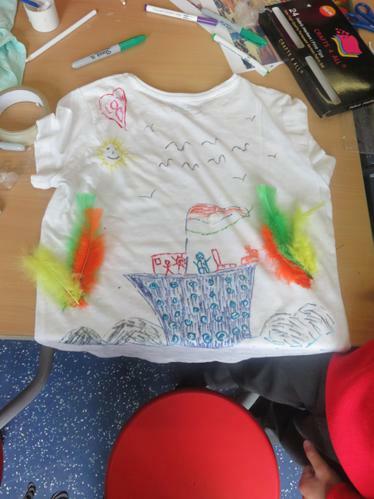 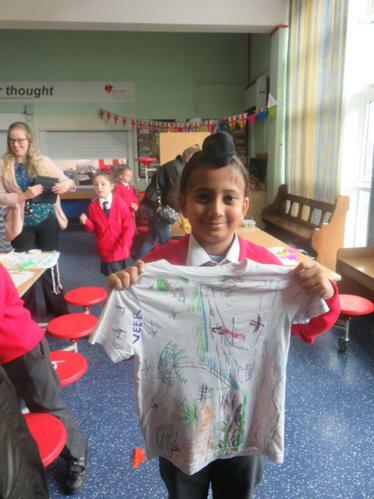 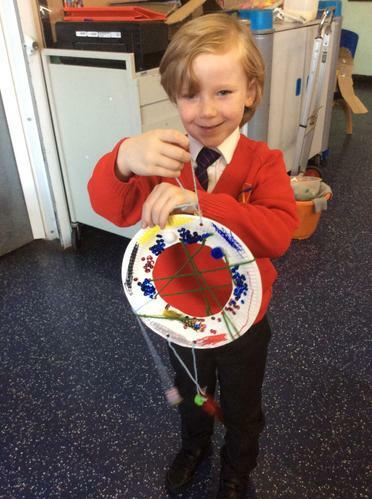 We made t-shirts, dream catchers and picnic blankets. 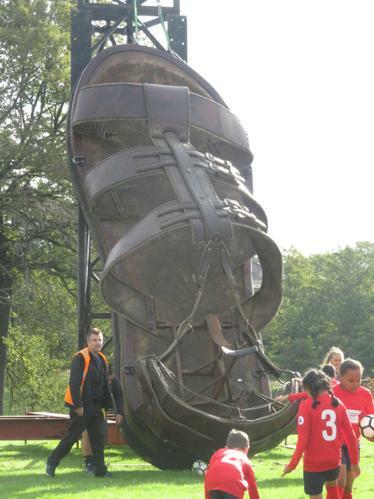 These are now on show in Mann Island. 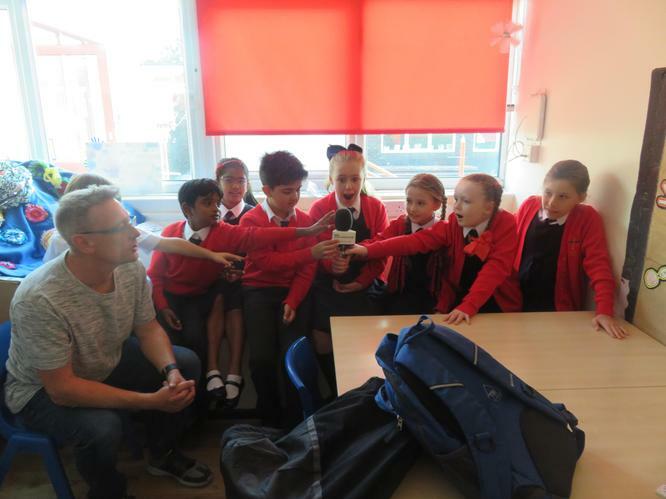 Selected pupils then took part in radio interviews. 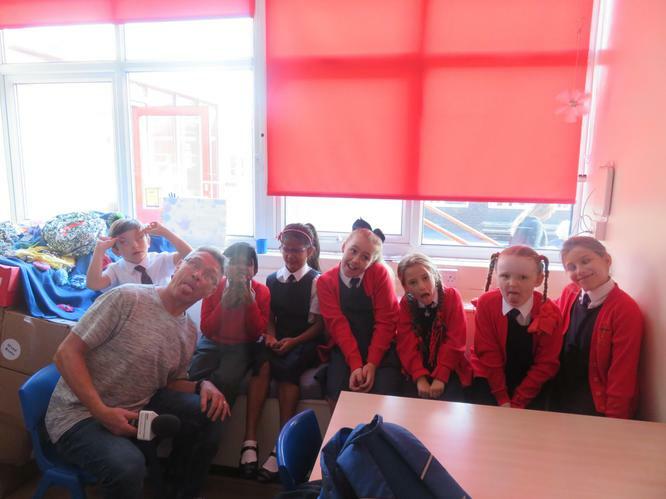 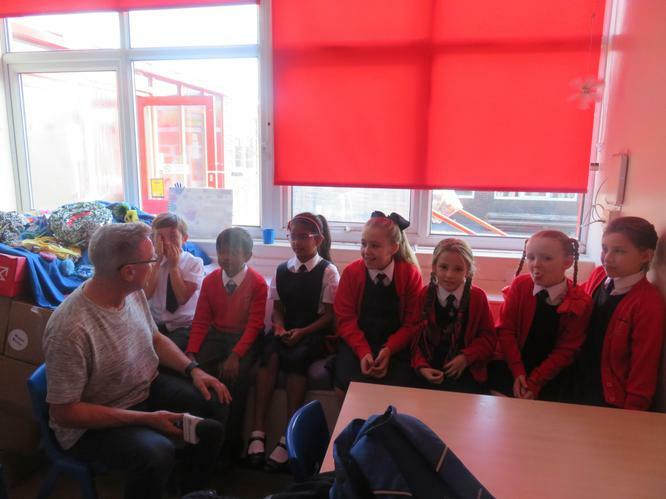 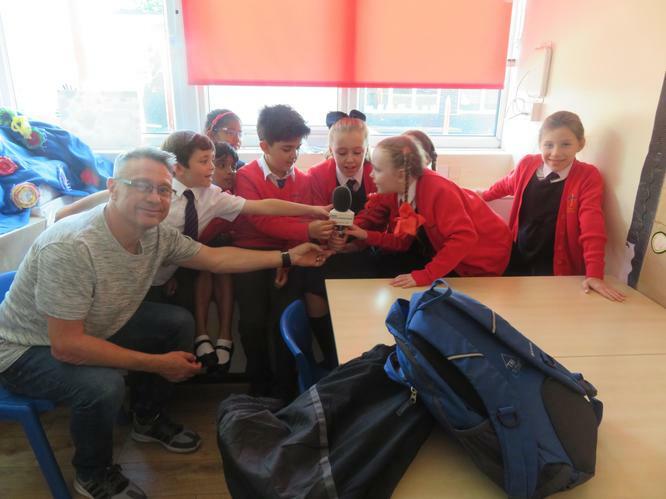 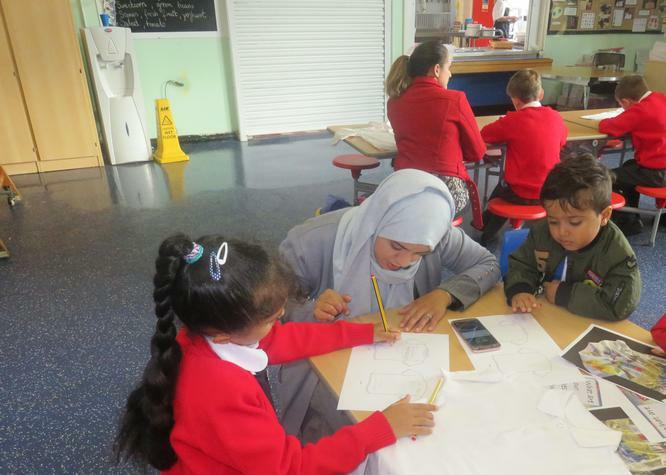 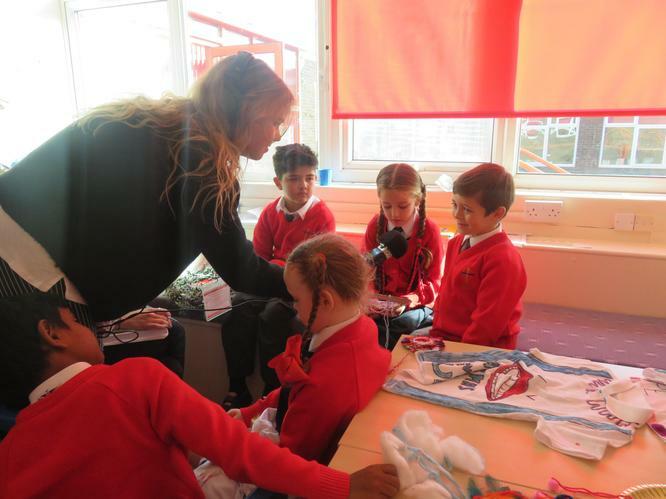 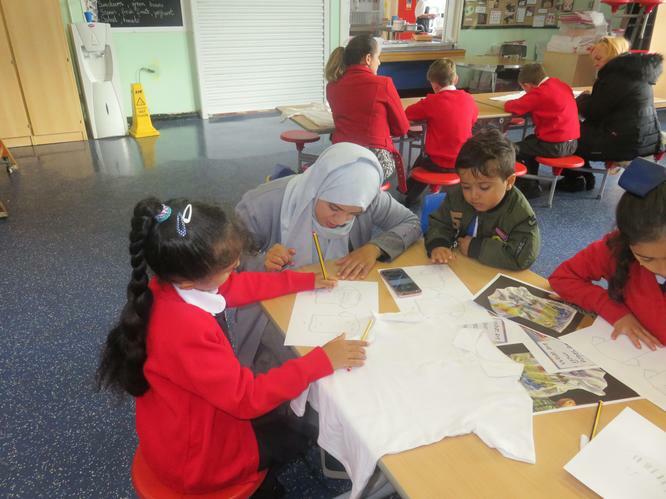 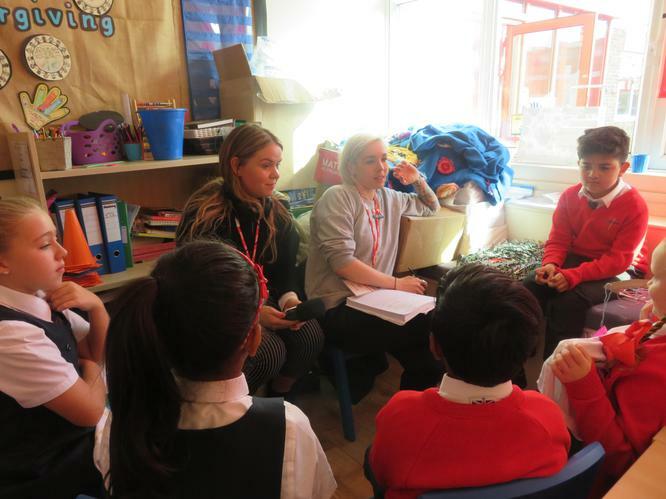 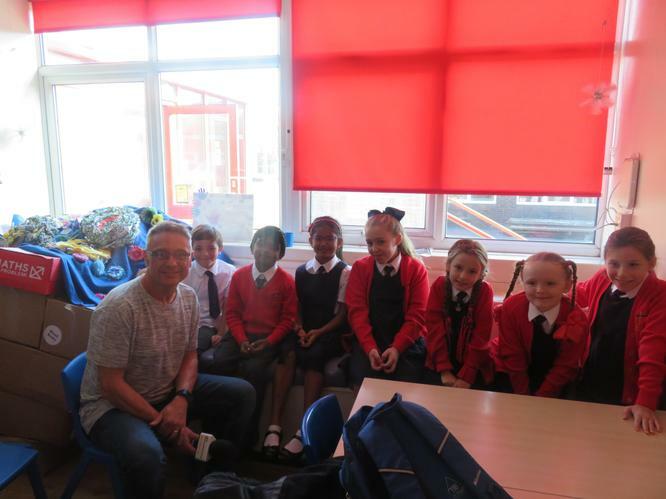 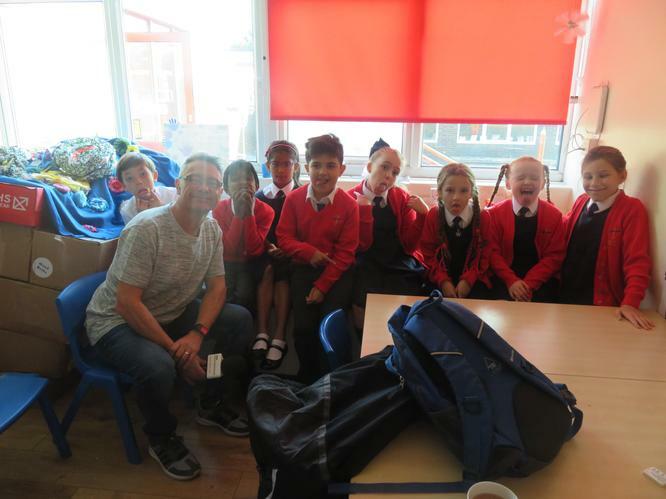 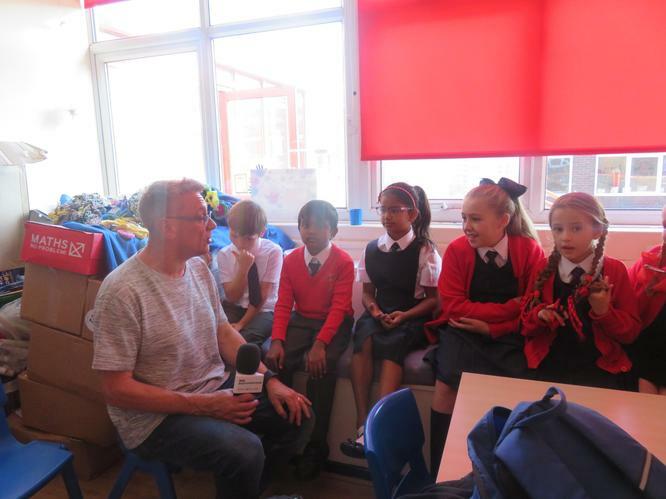 BBC Radio Merseyside interviewed the pupils about their dreams. 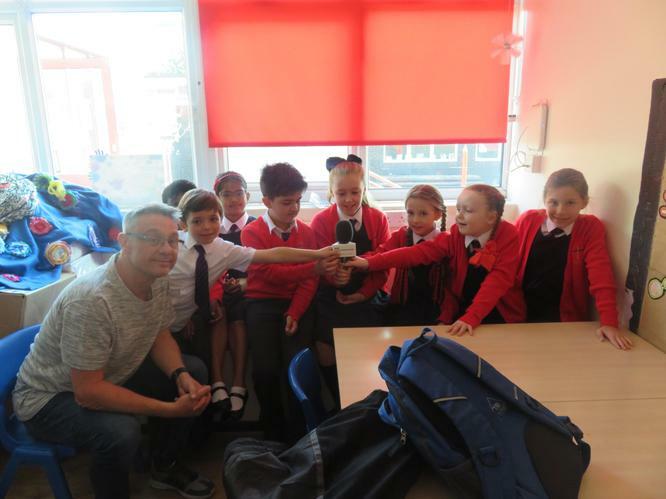 They all done so well and we loved listening to them on morning radio. 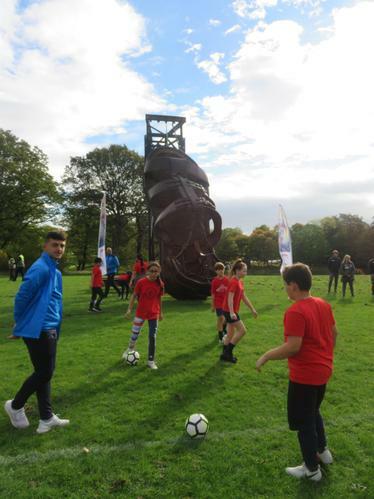 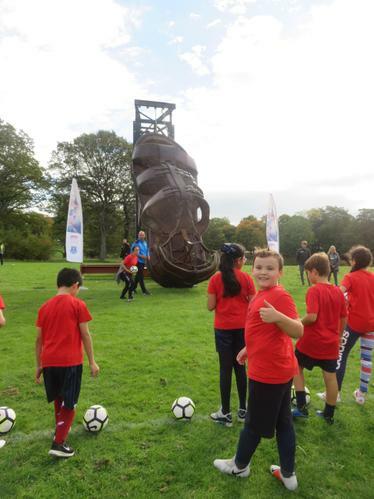 Some of our older pupils then went to Princess Park for Giants football. Coaches from Tranmere, Everton & Liverpool were present and we got to work with the Tranmere coaches. 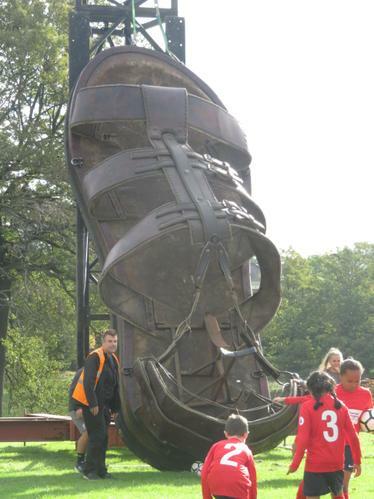 The Giants' sandal was even used as a goal post. 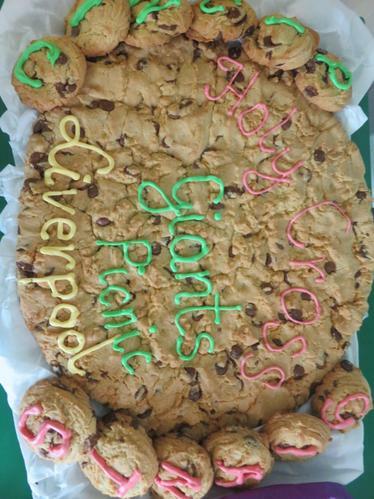 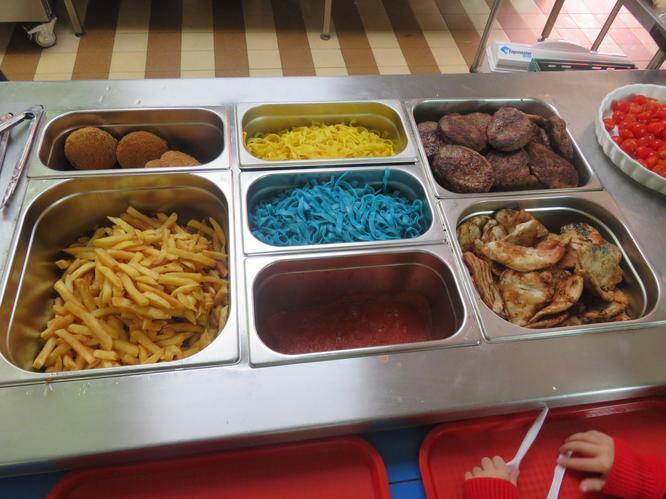 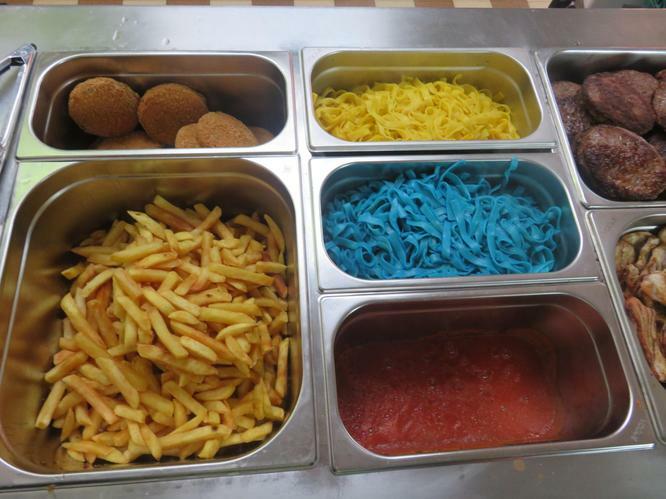 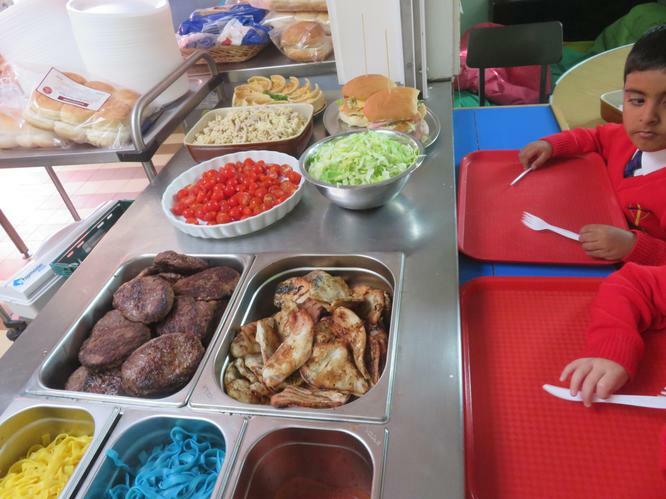 We also had a special Giants lunch. 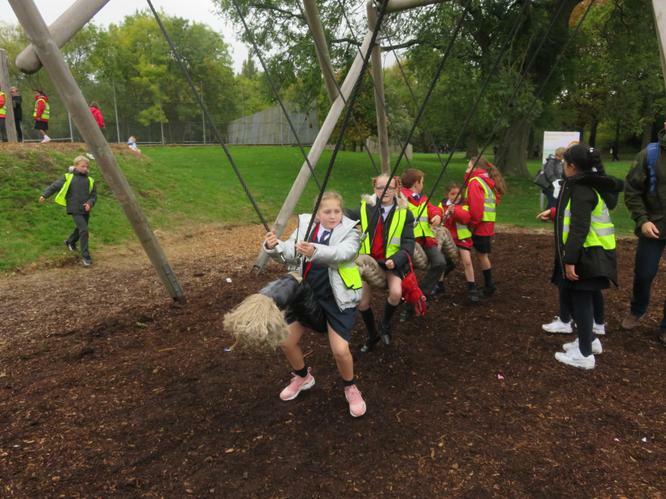 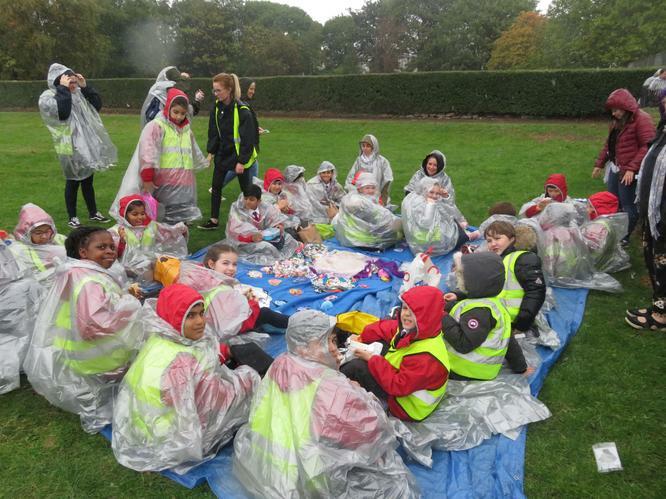 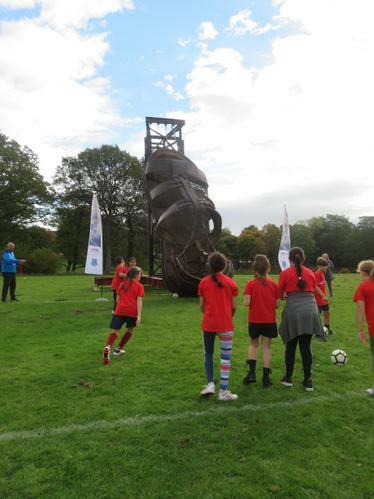 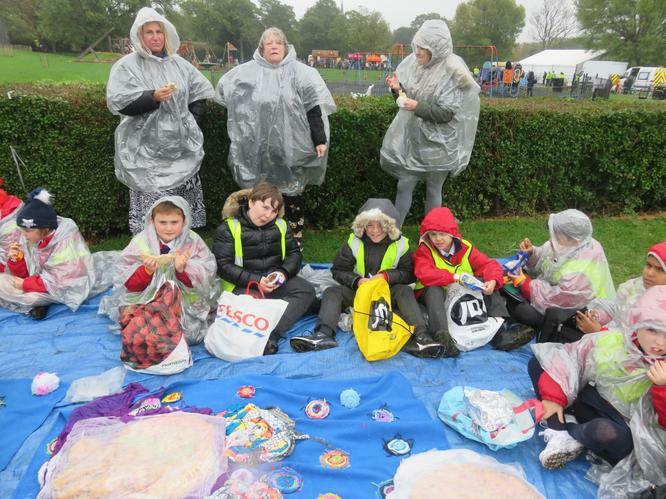 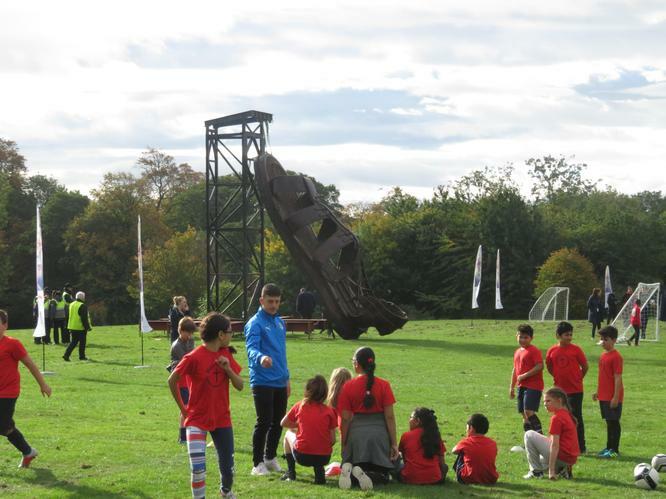 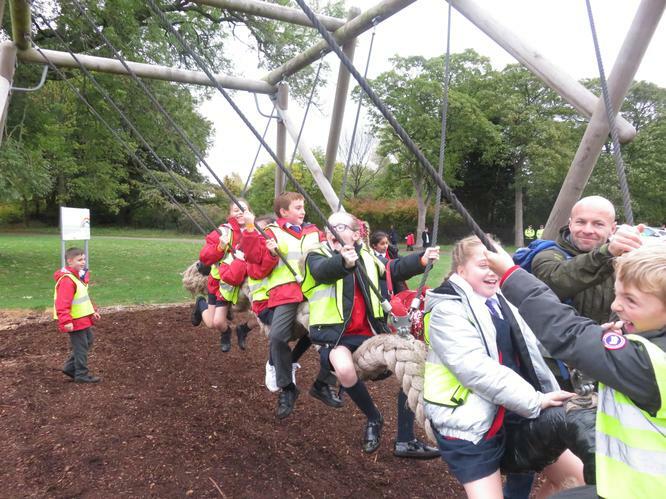 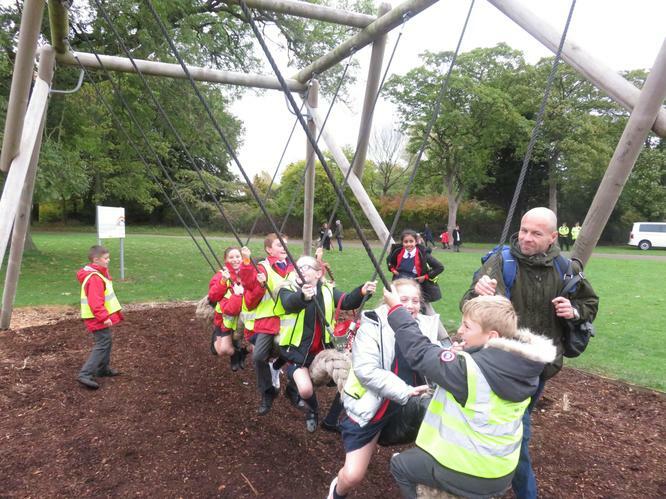 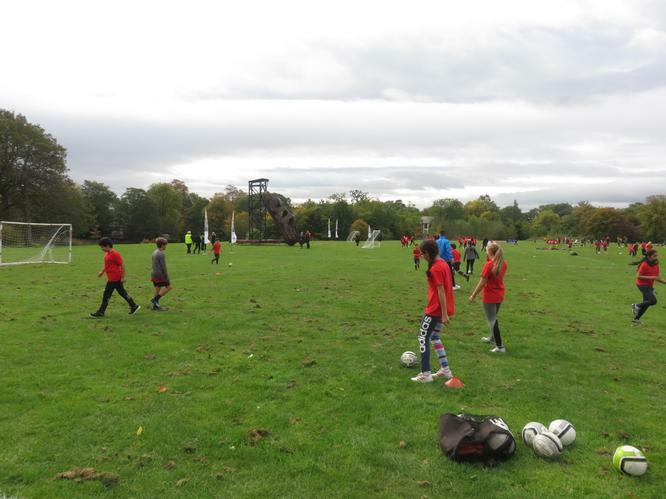 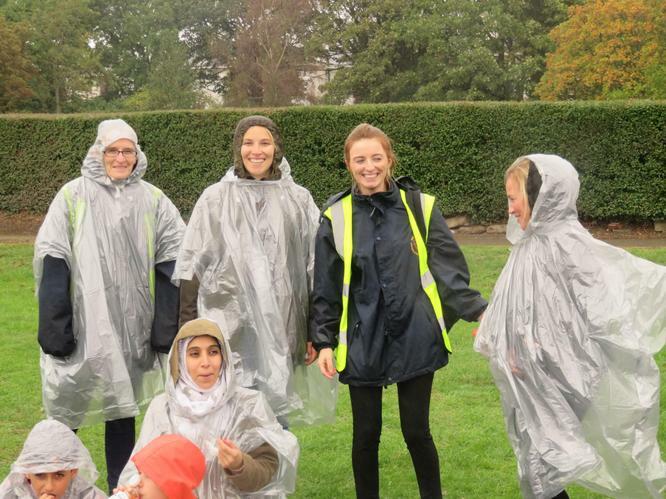 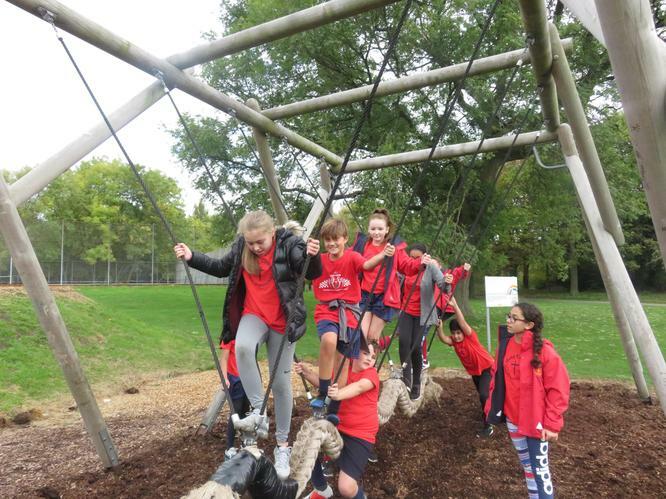 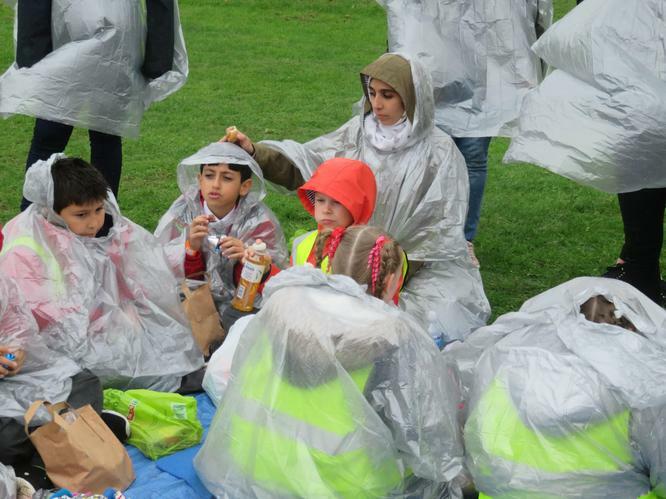 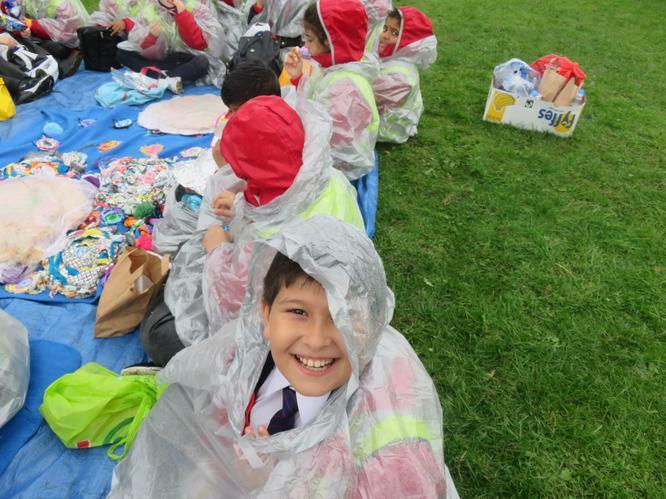 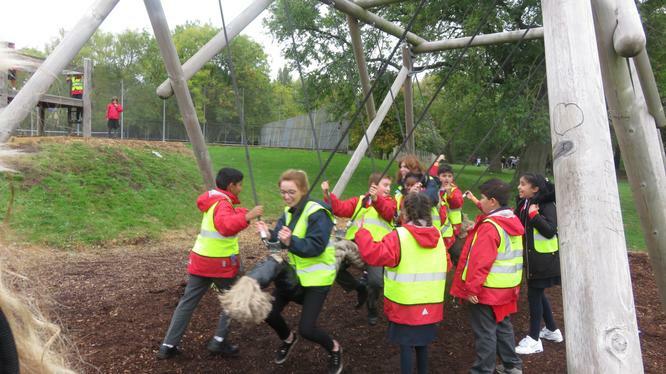 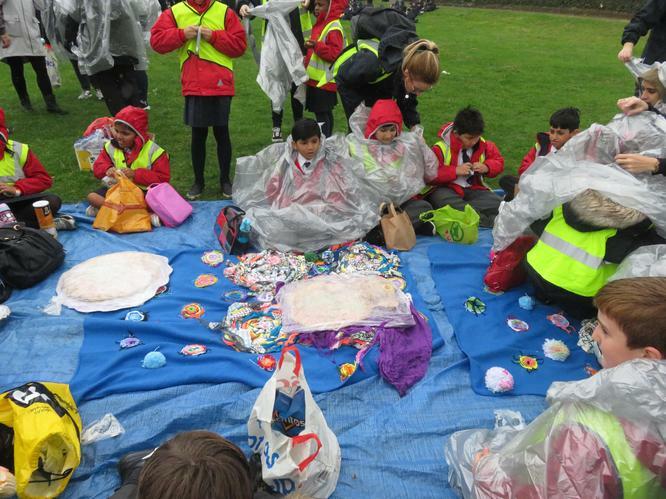 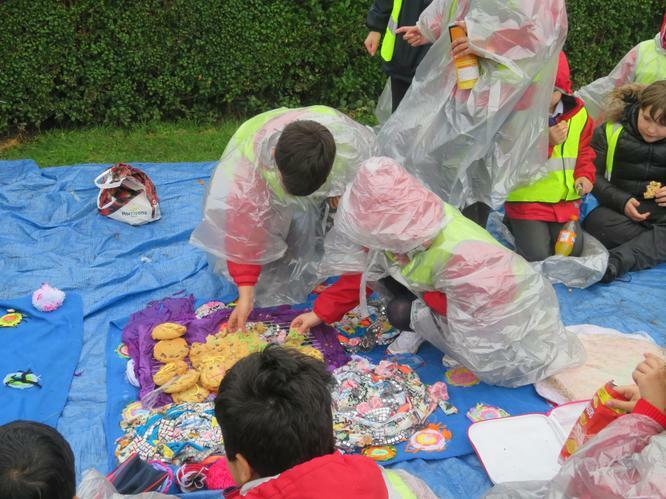 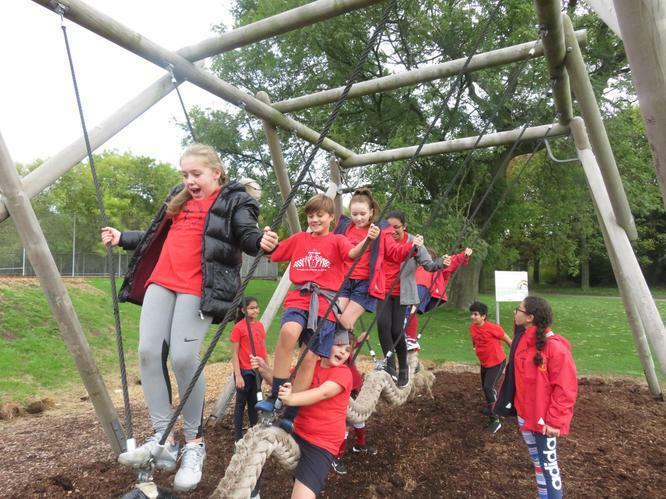 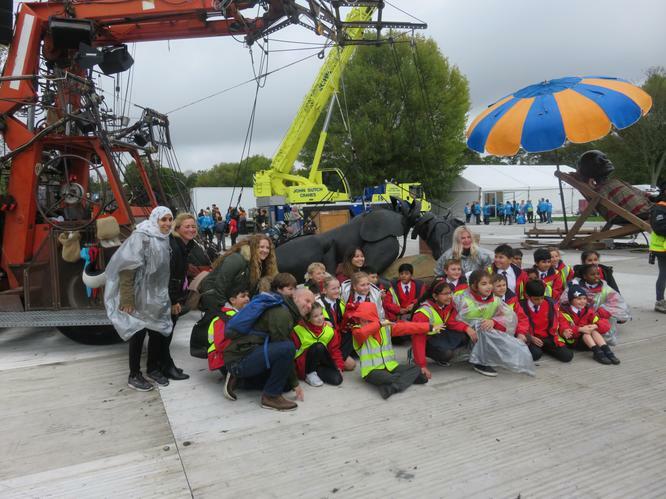 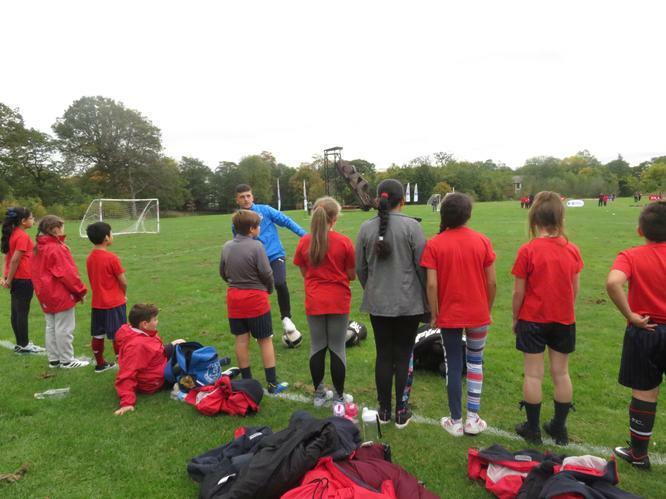 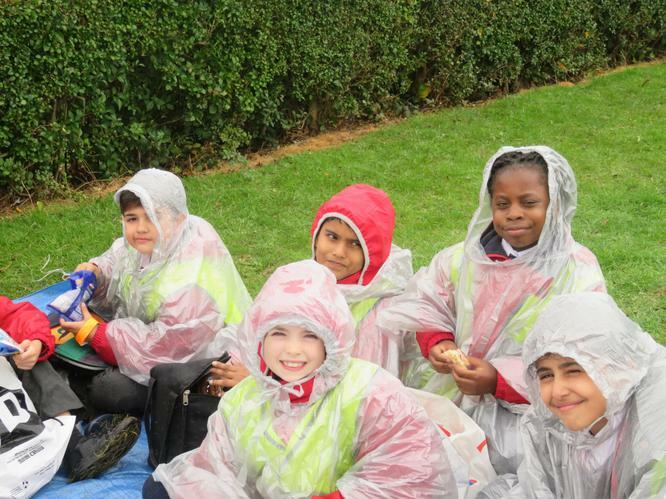 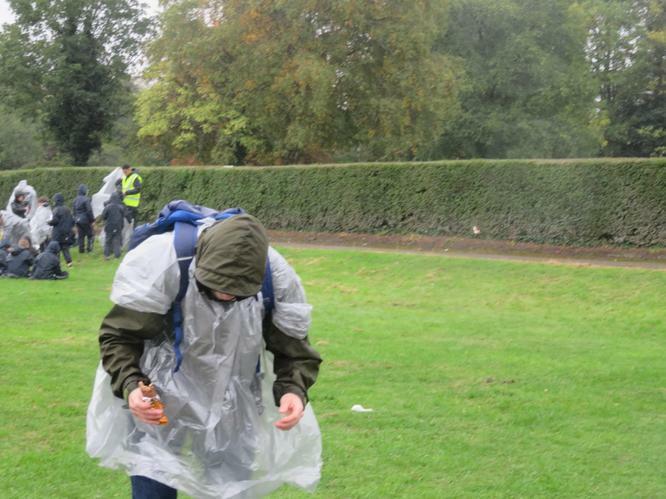 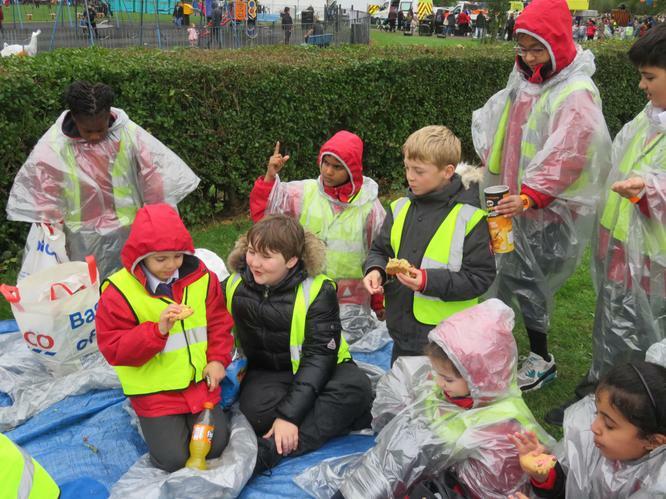 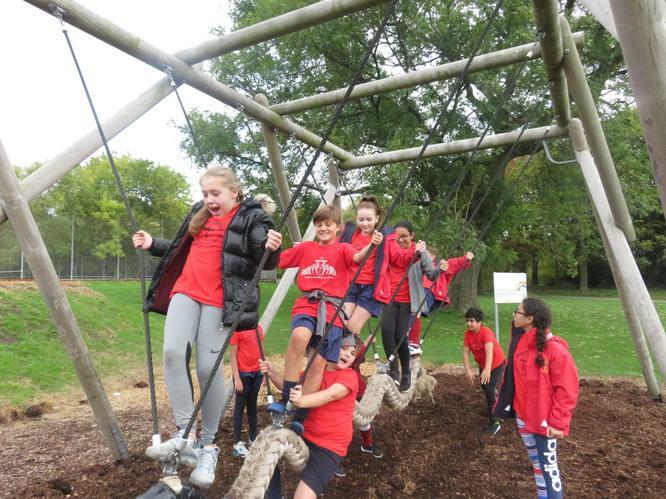 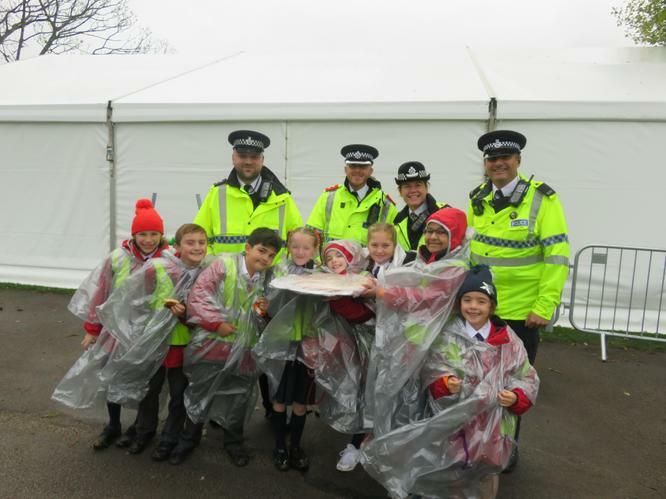 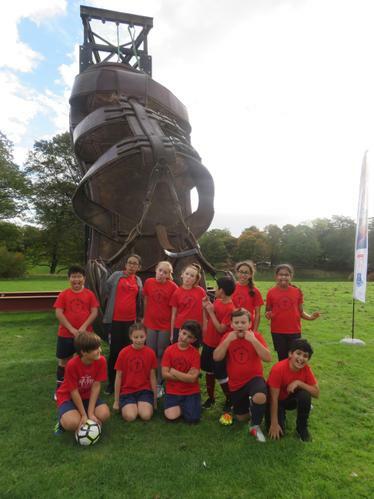 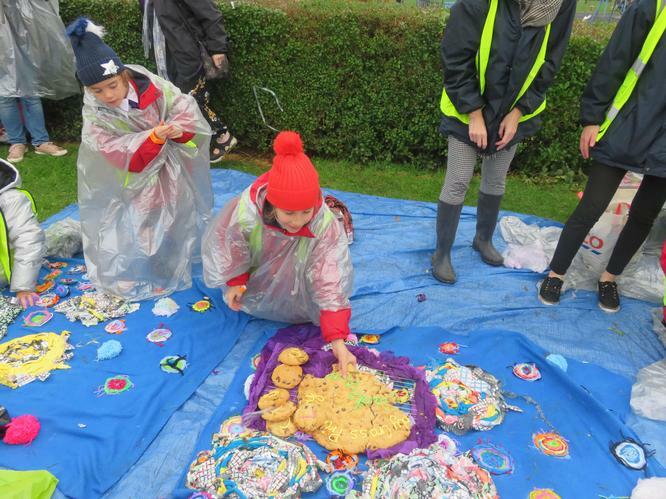 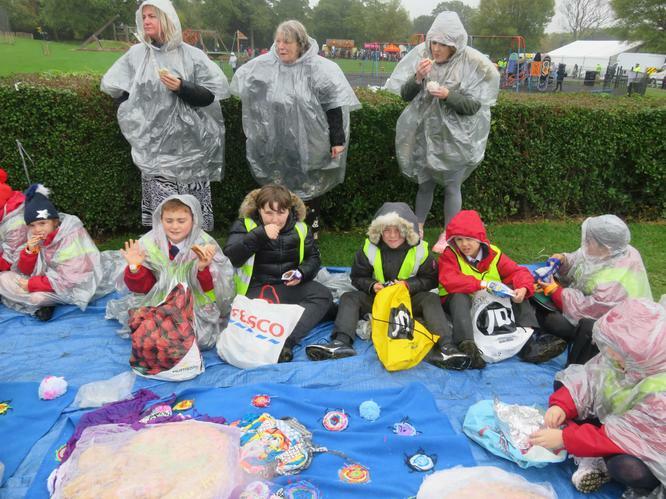 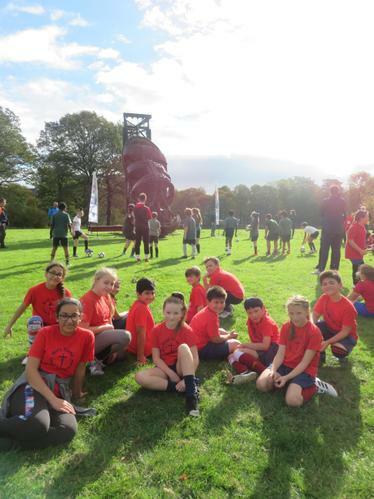 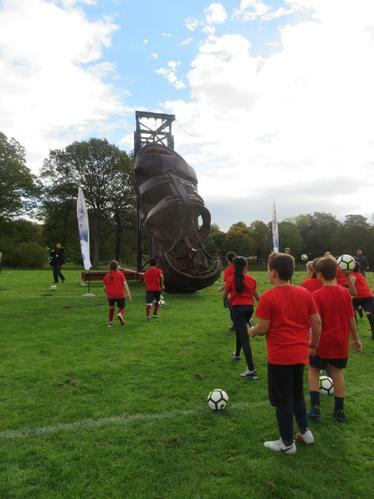 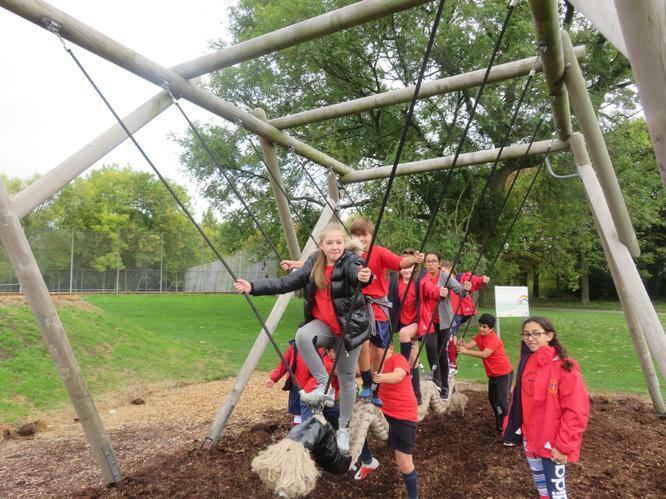 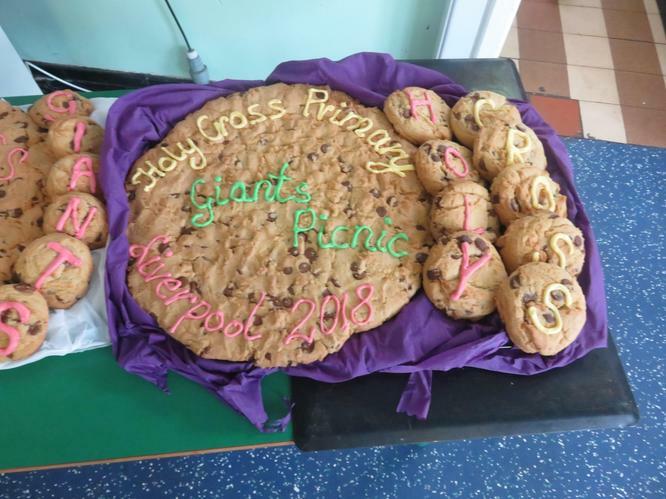 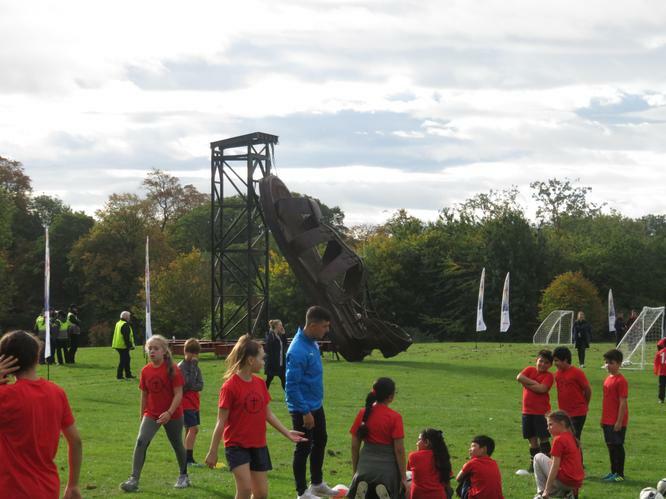 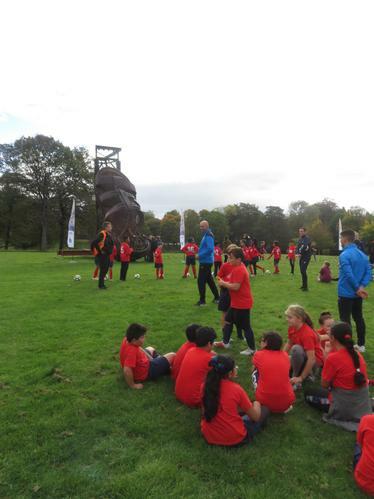 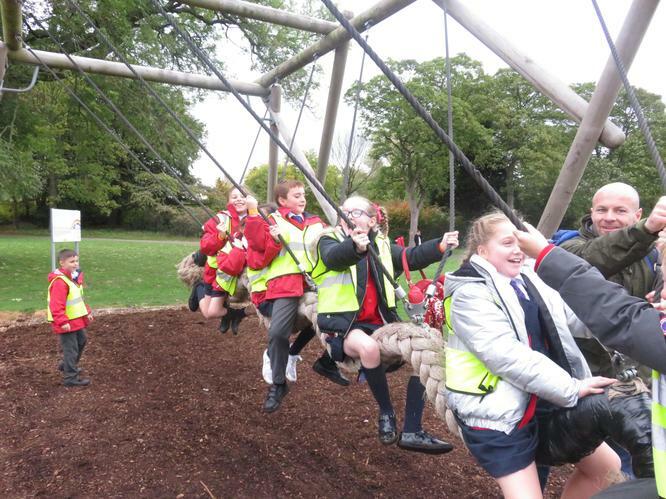 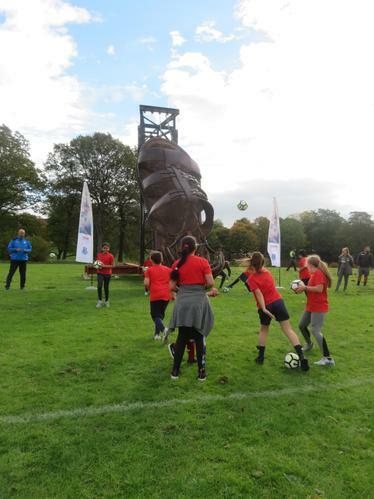 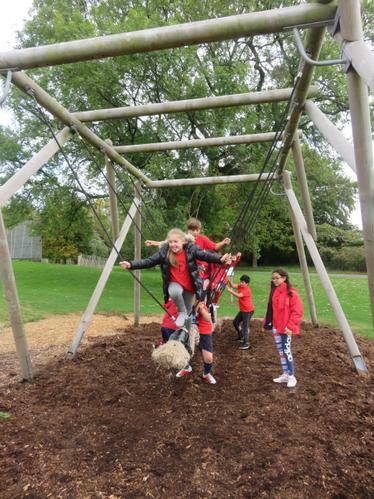 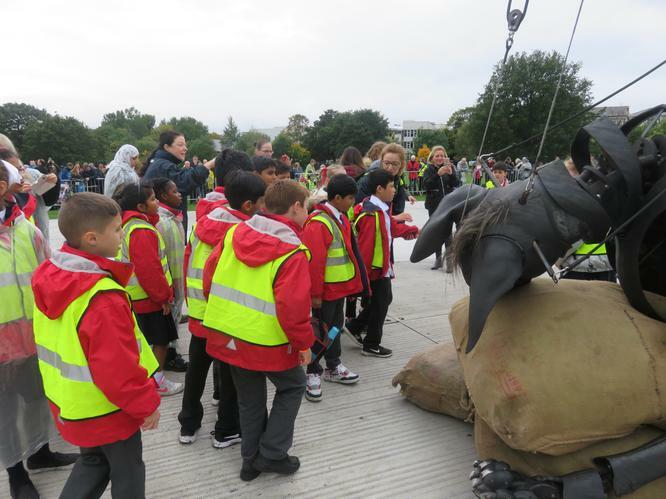 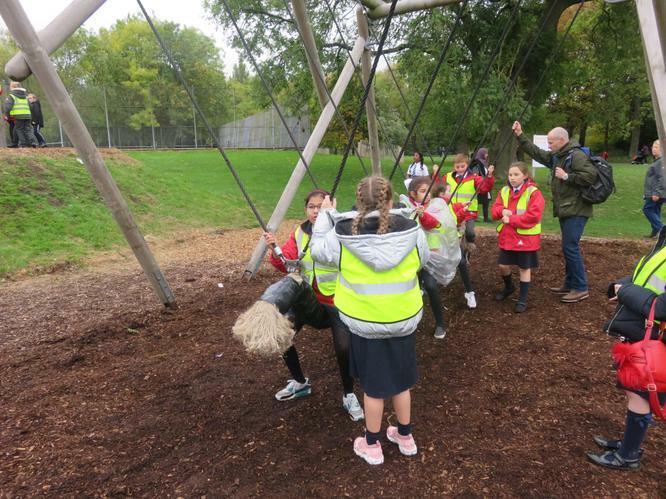 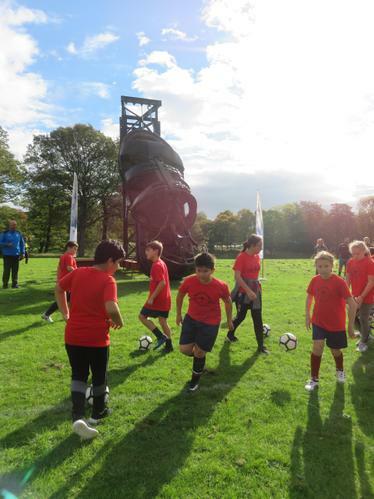 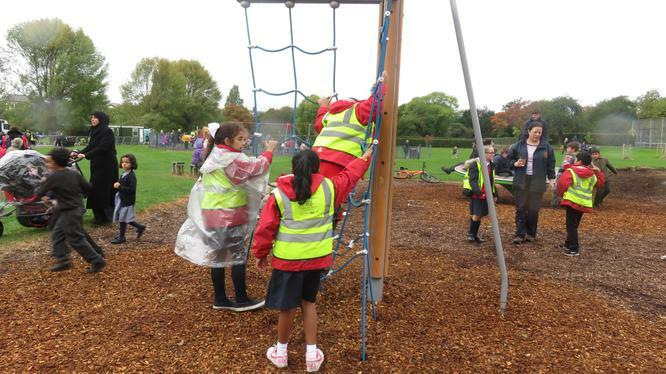 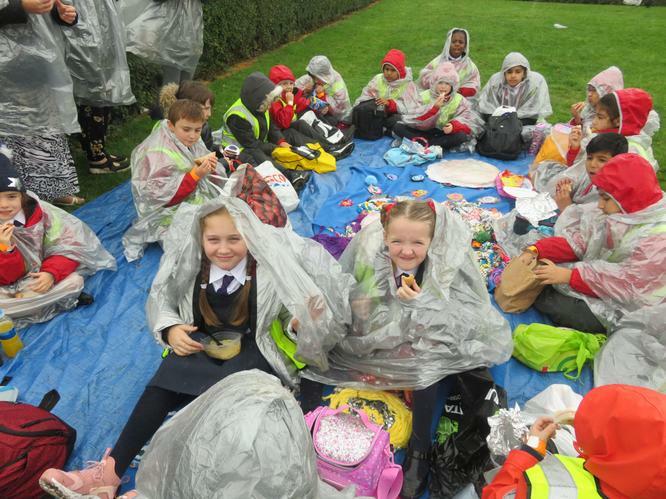 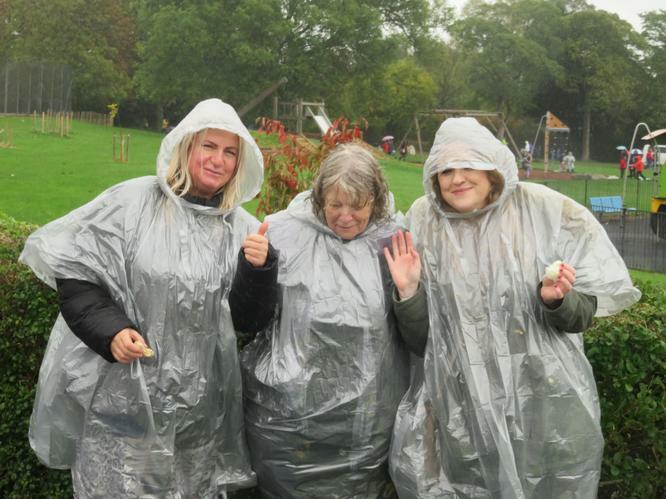 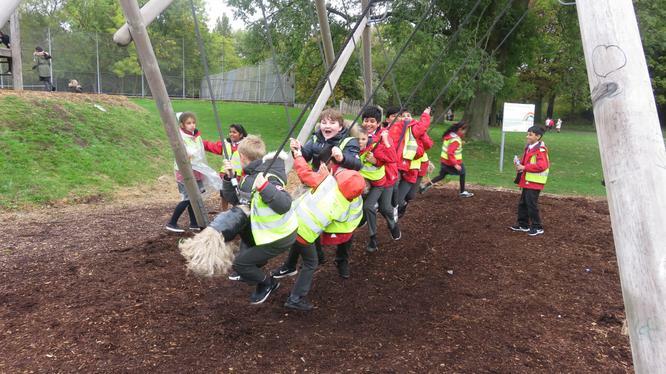 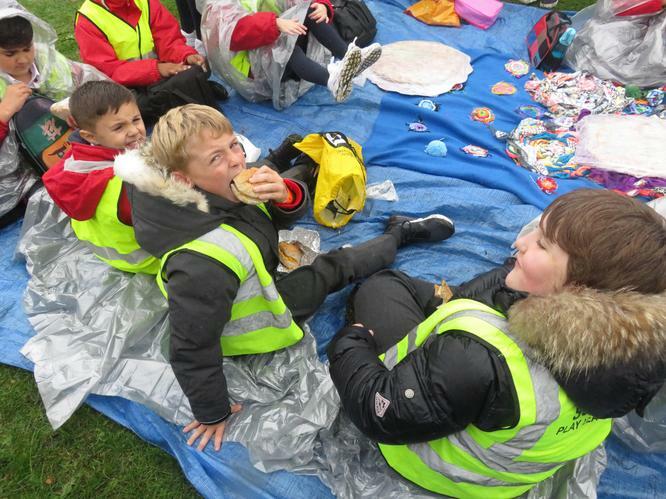 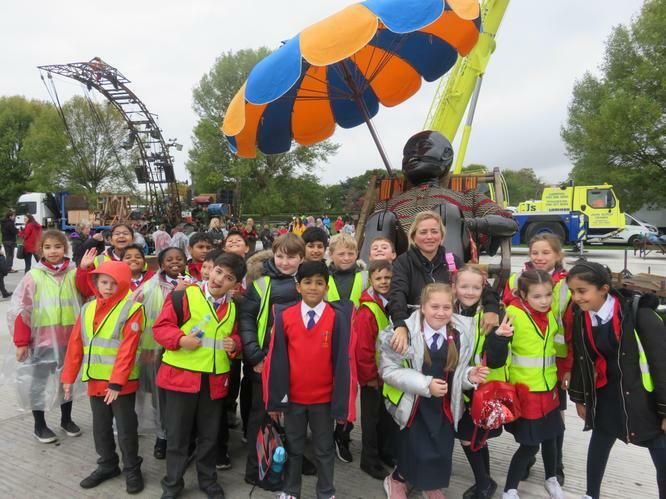 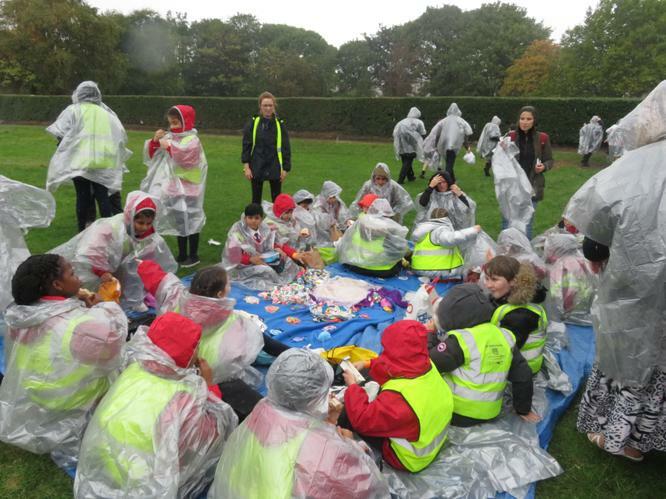 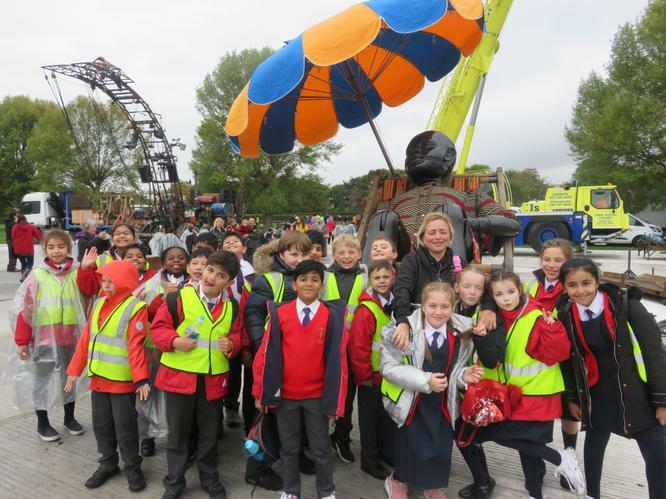 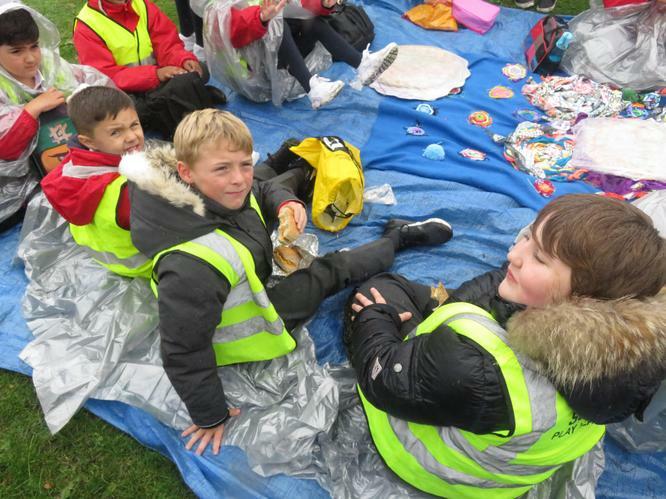 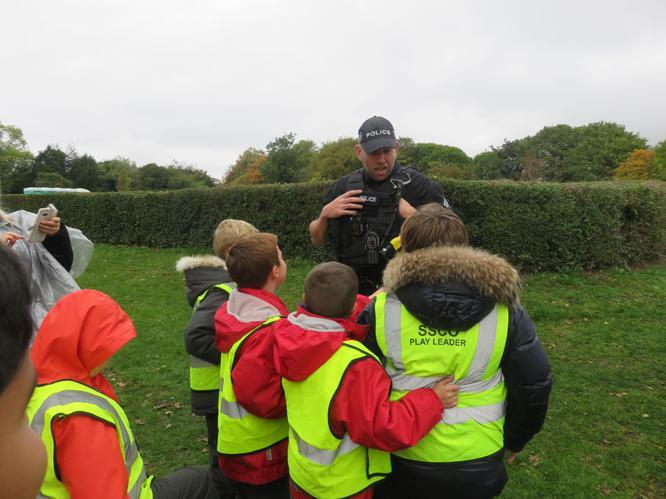 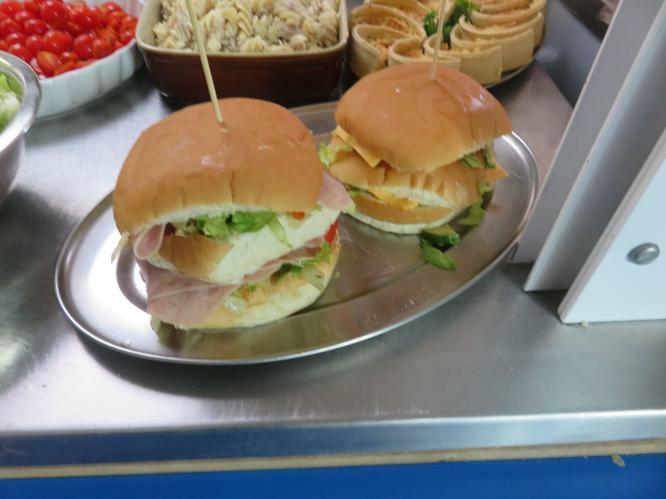 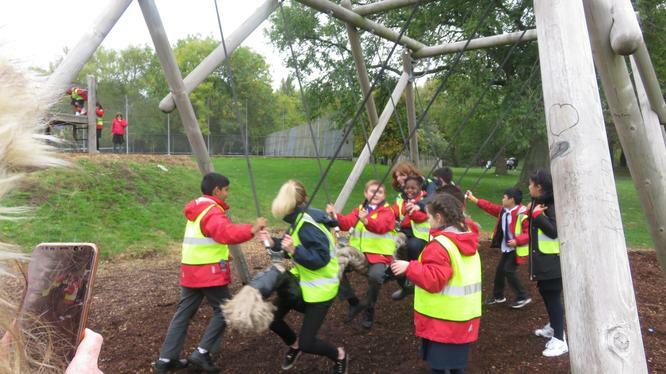 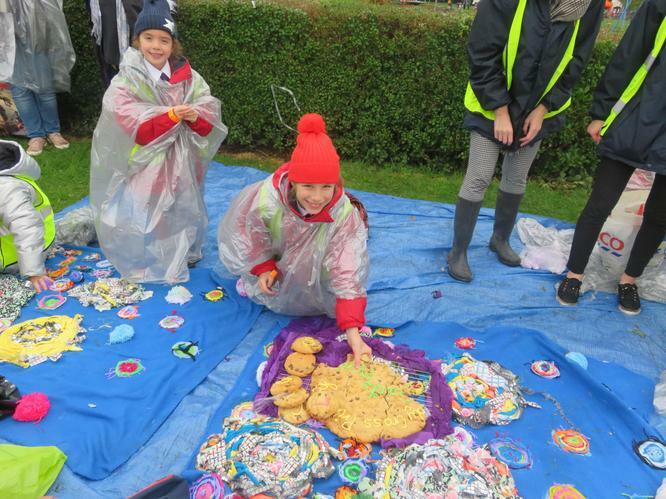 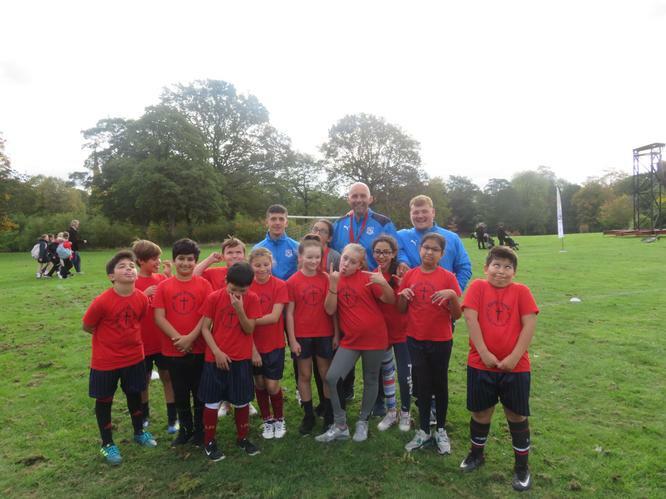 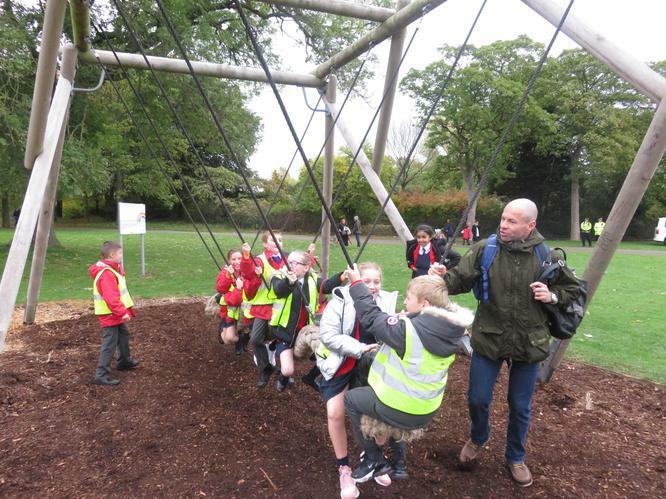 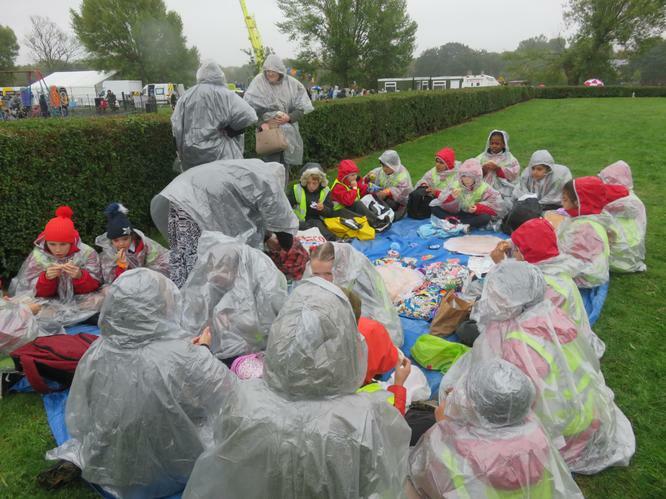 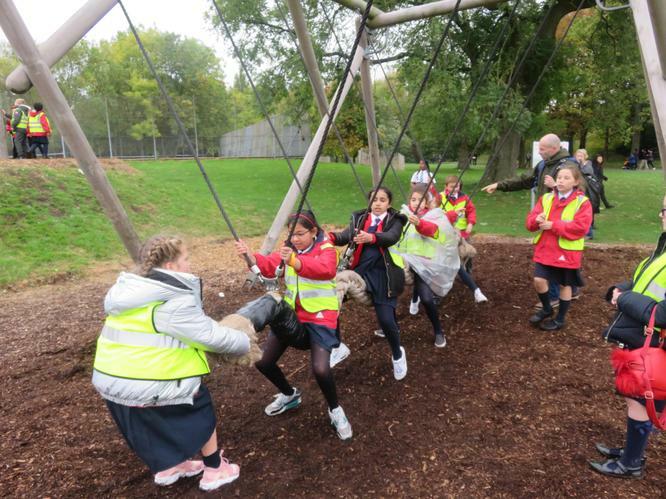 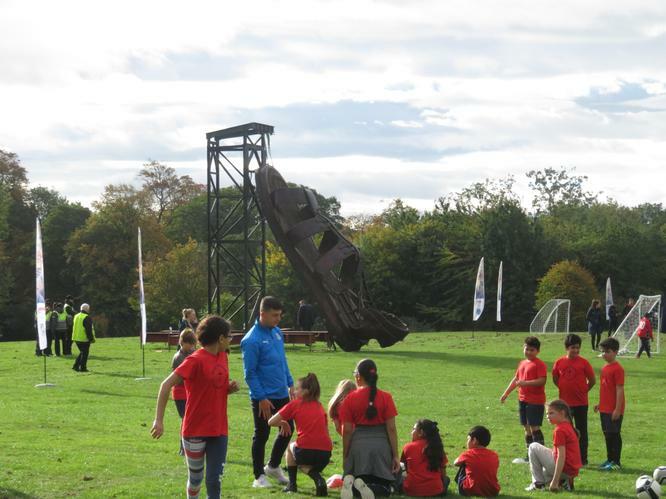 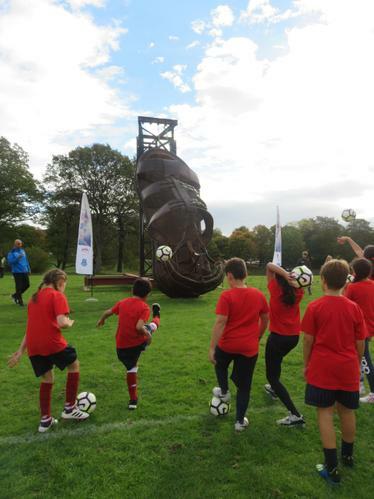 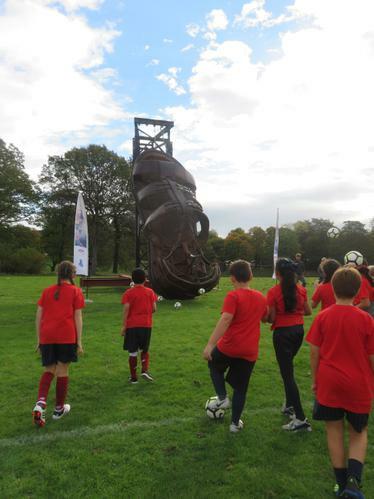 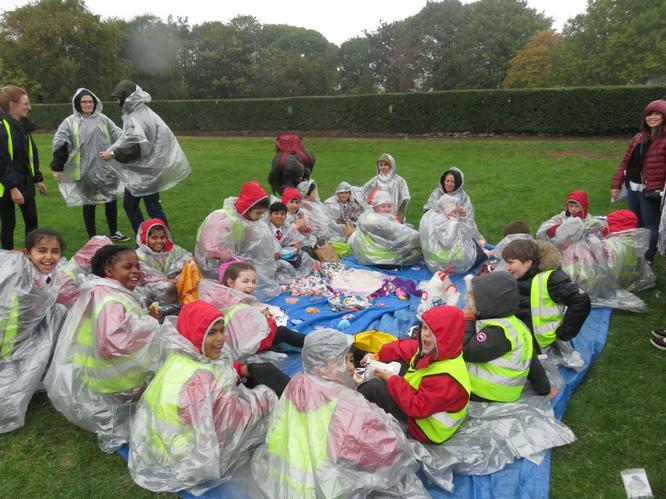 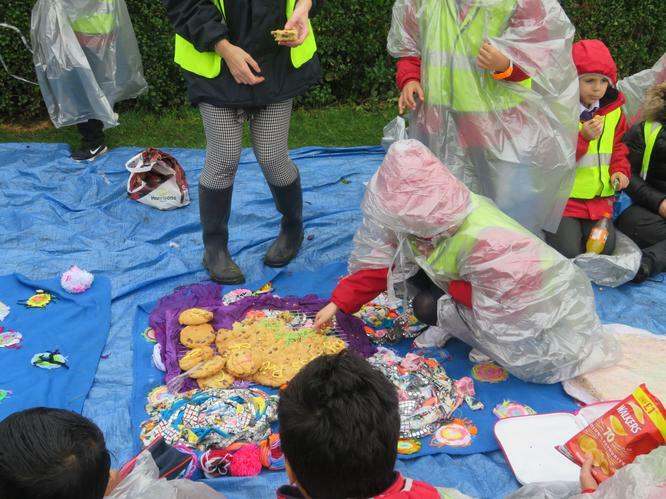 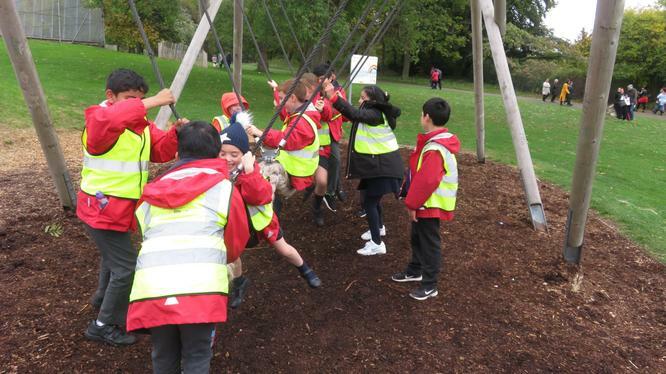 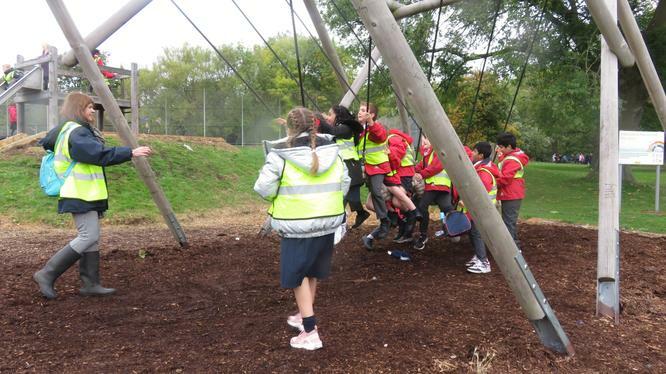 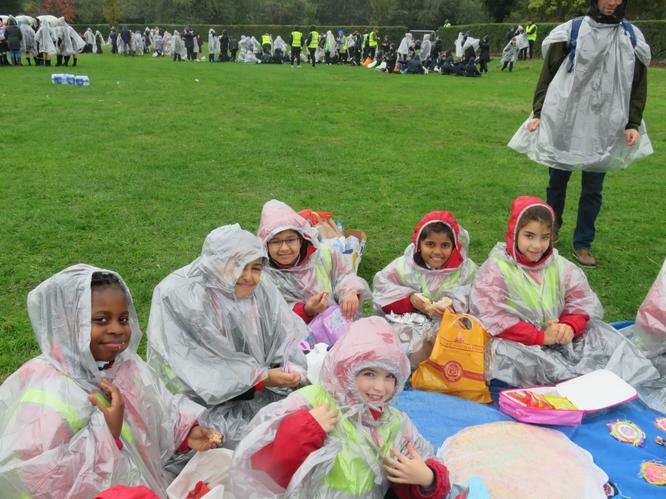 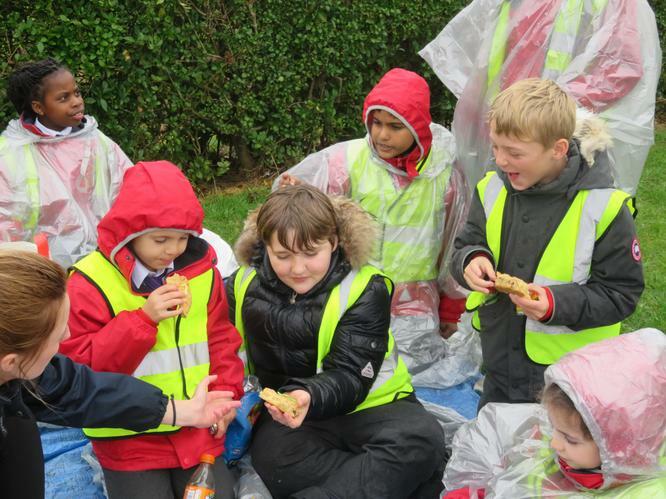 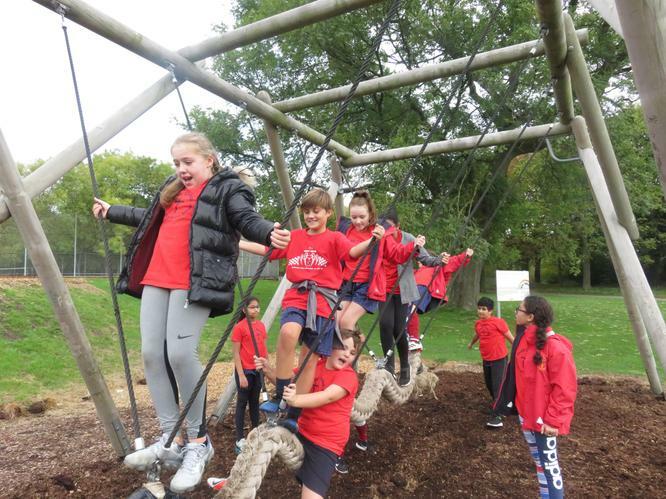 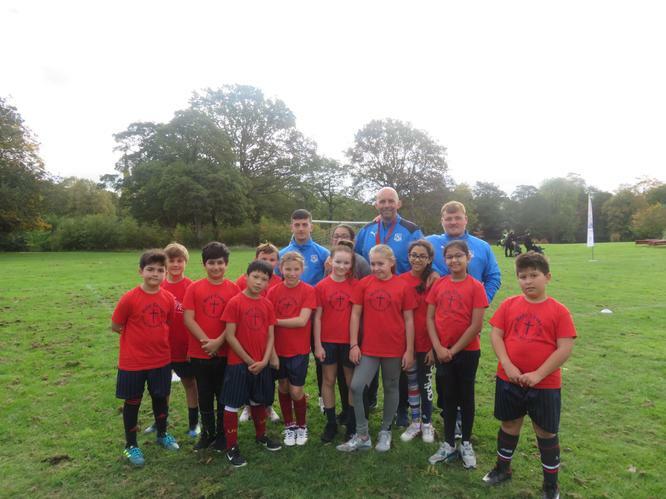 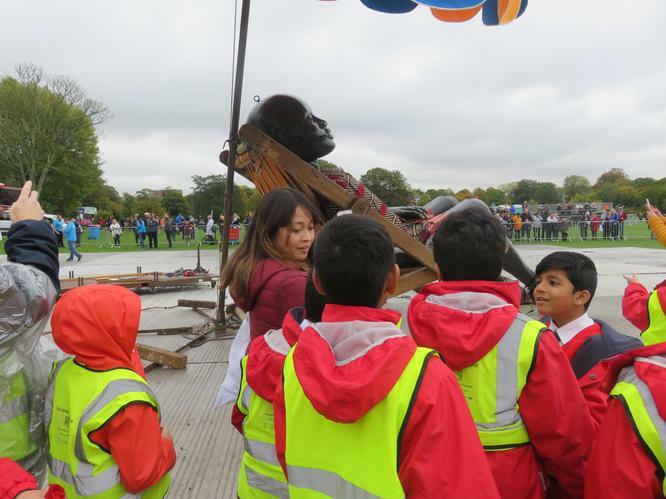 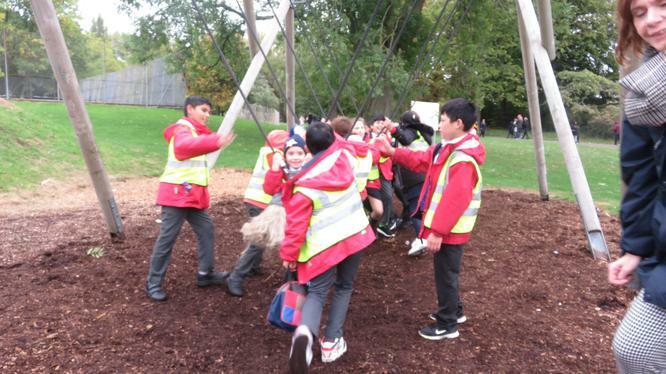 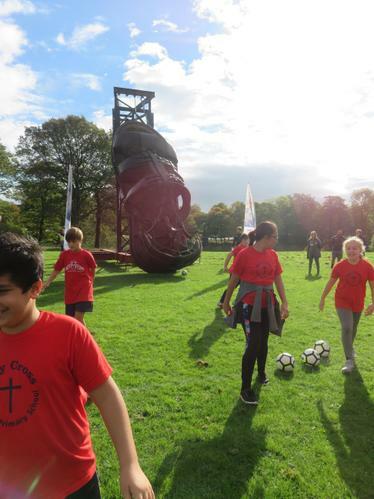 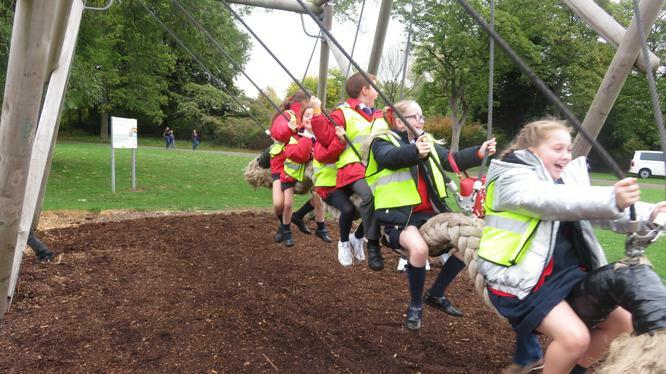 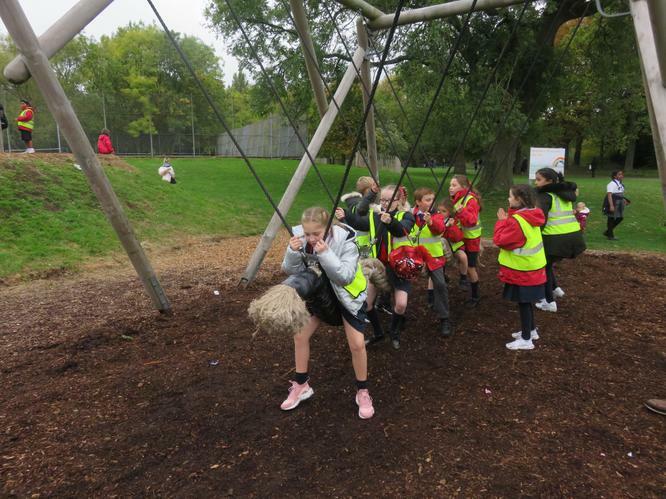 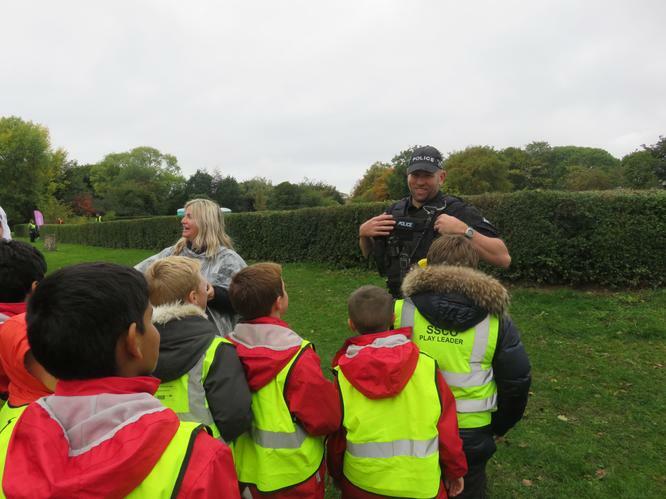 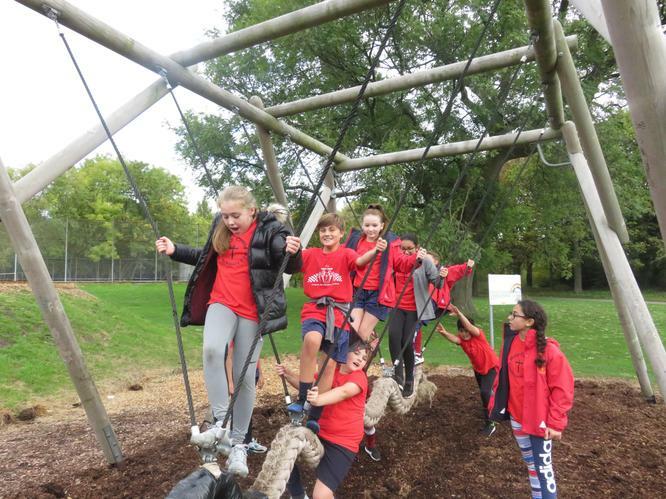 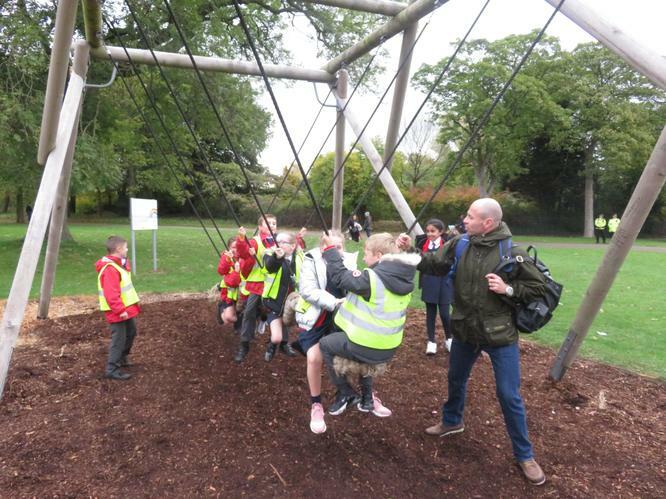 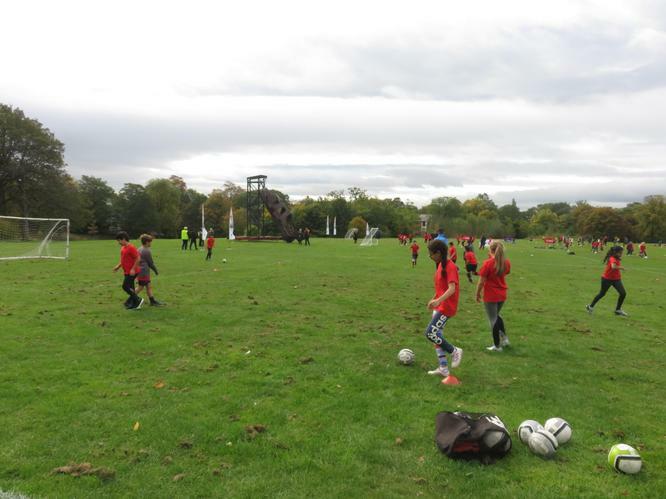 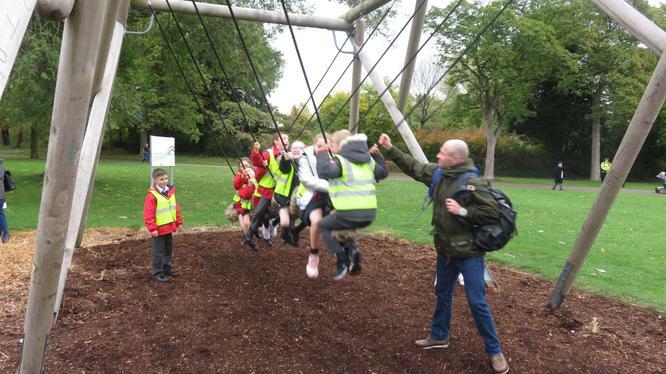 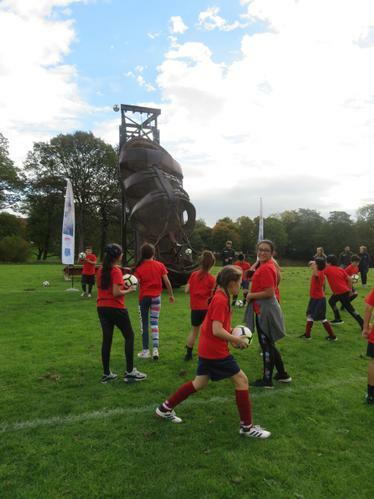 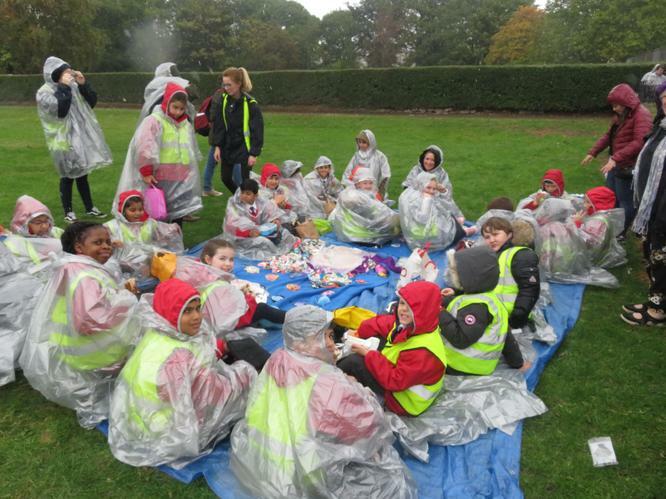 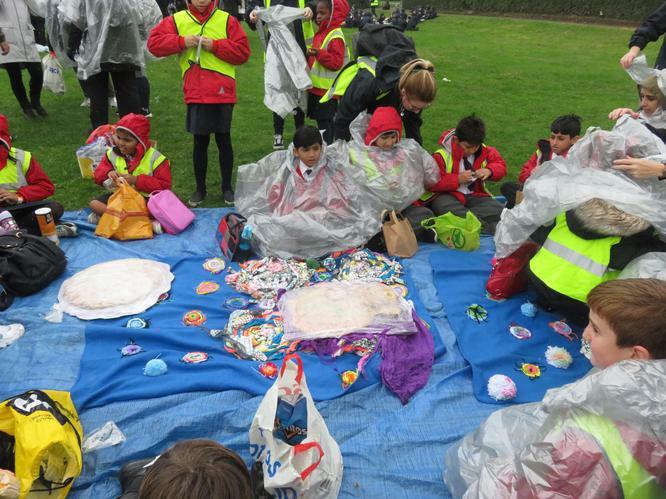 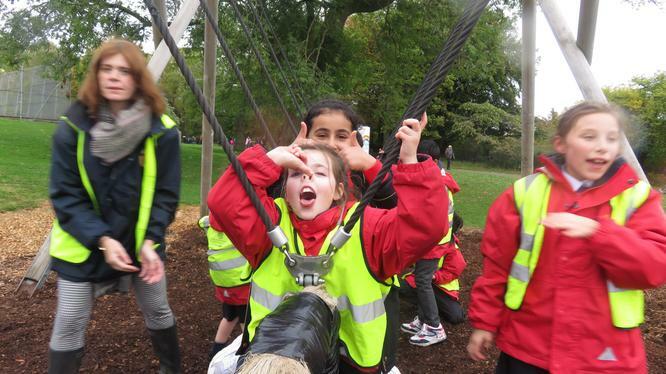 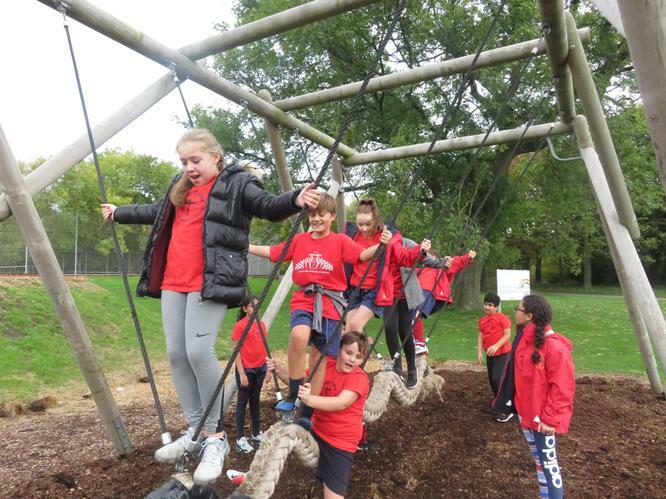 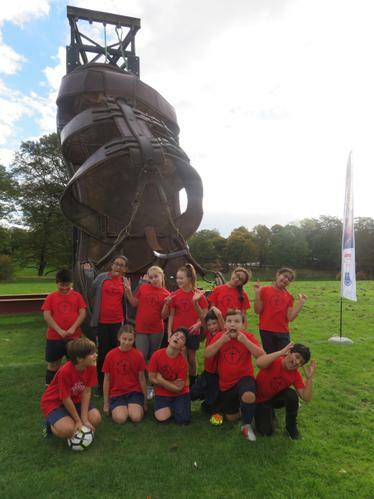 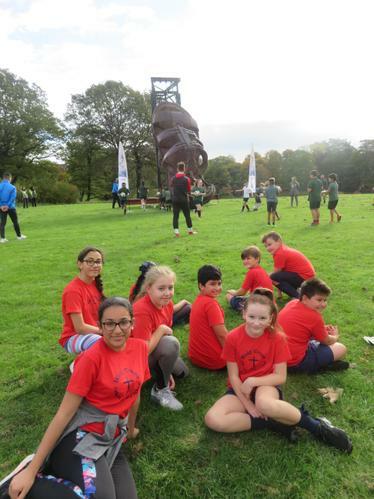 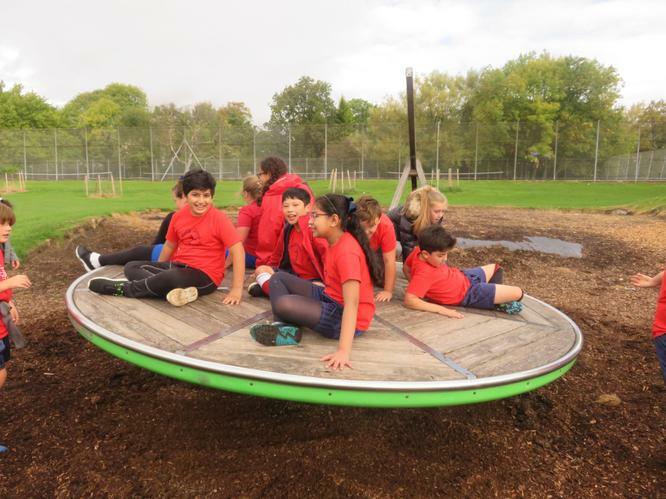 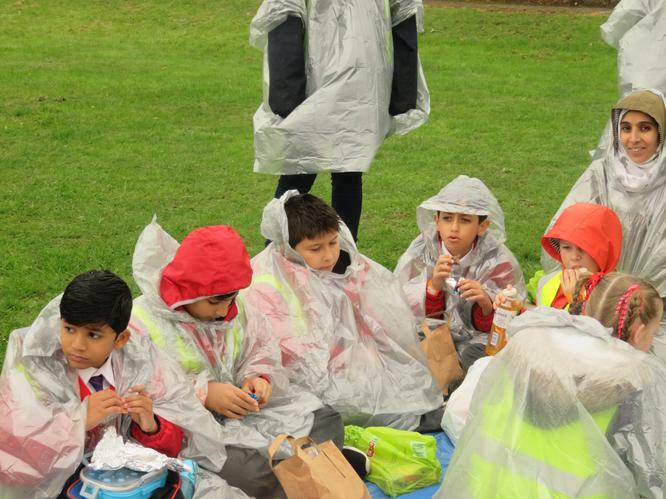 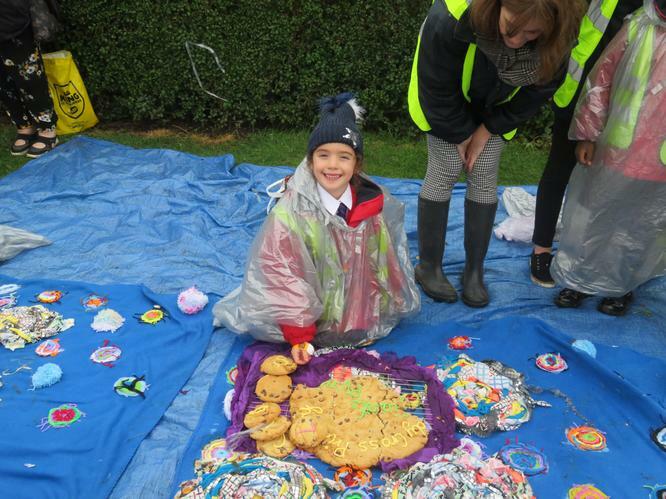 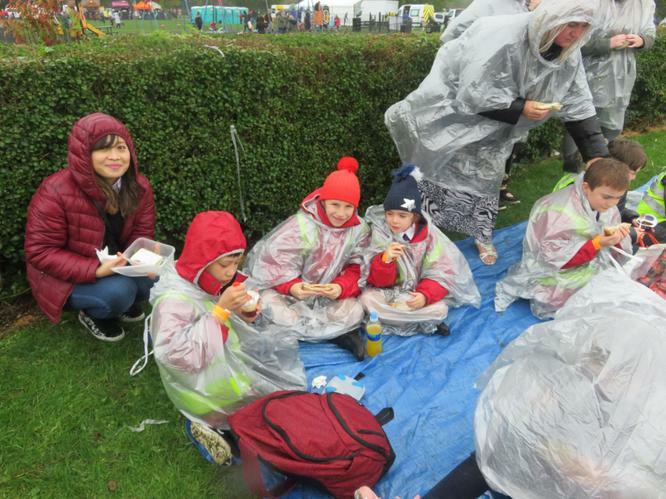 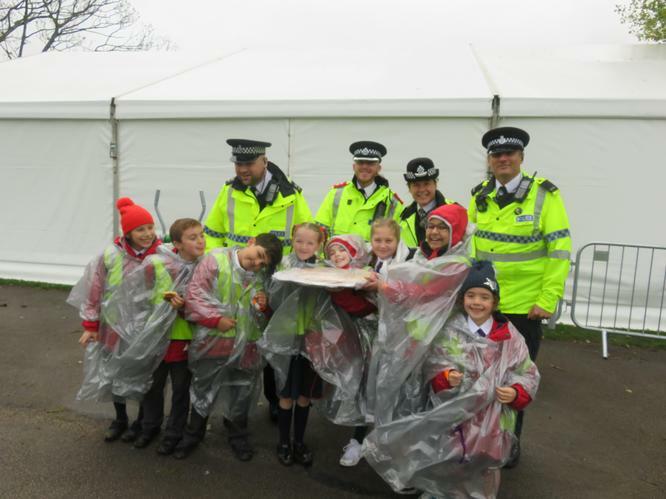 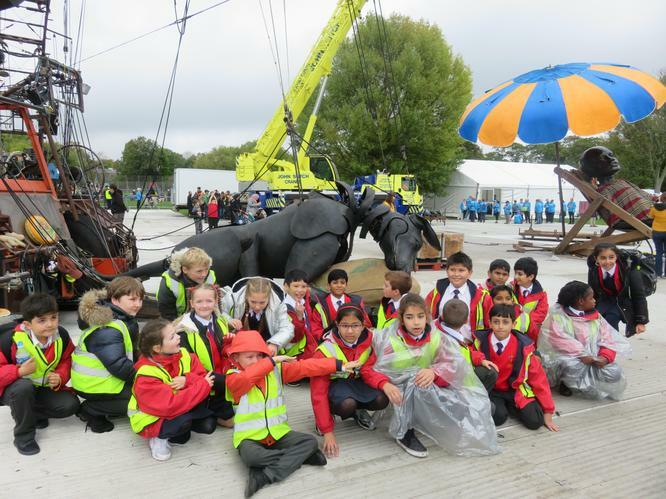 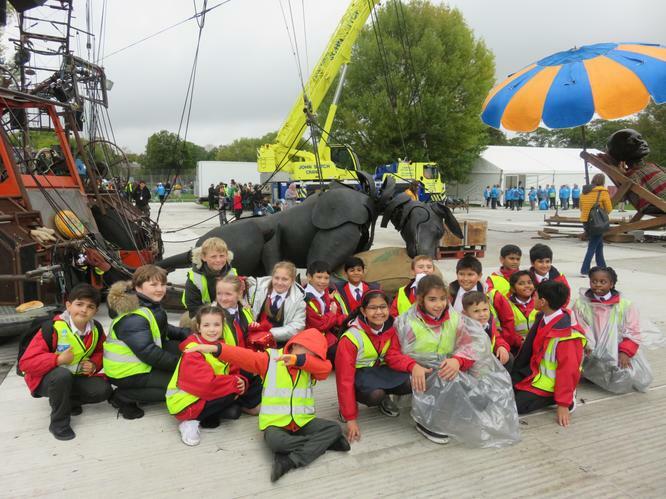 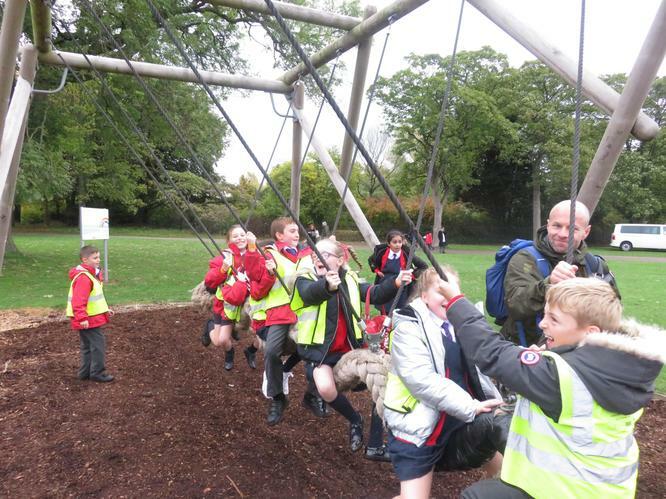 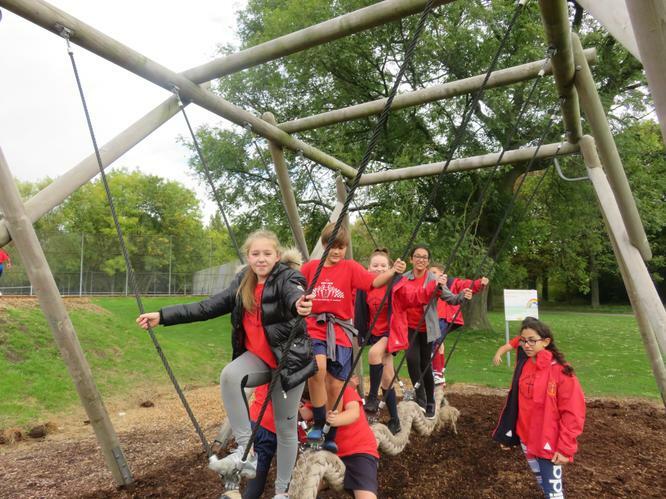 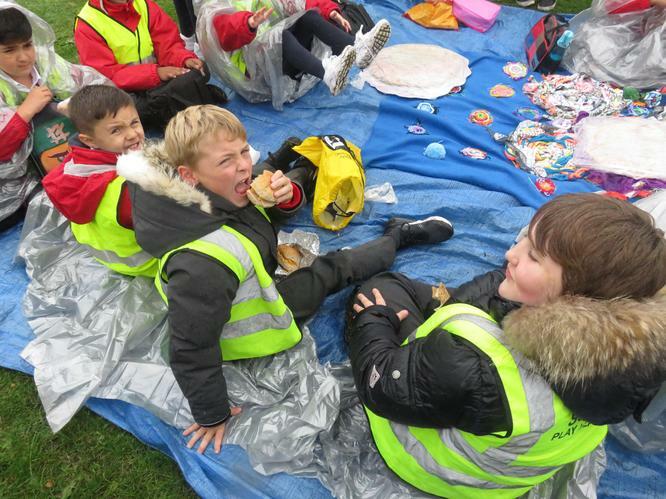 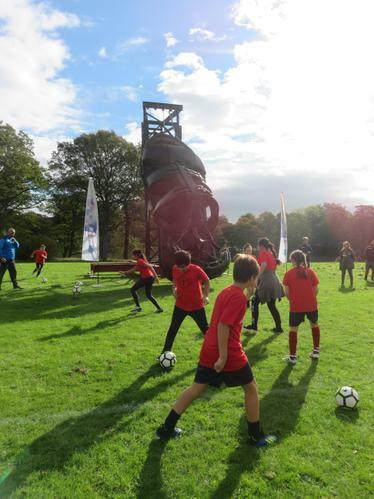 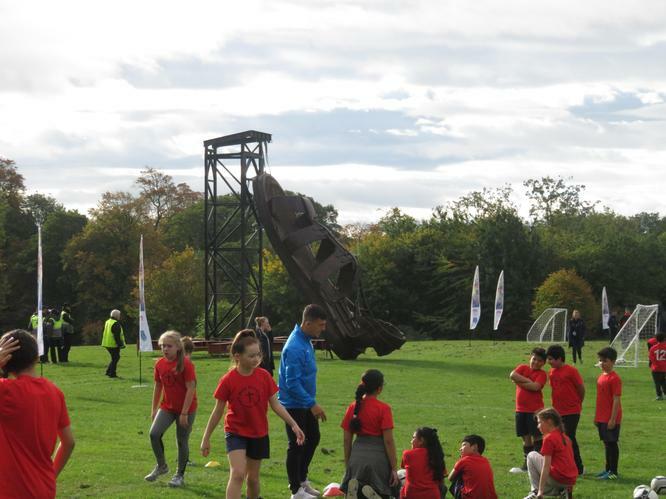 Our Year 5 pupils then got the chance to visit Princess Park for a picnic with the Giants. 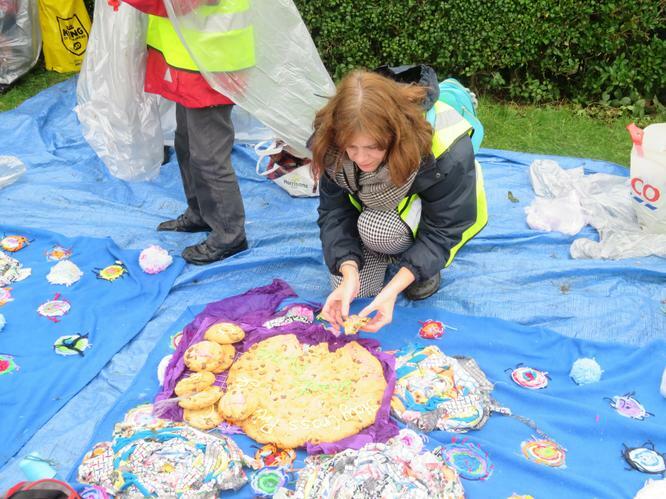 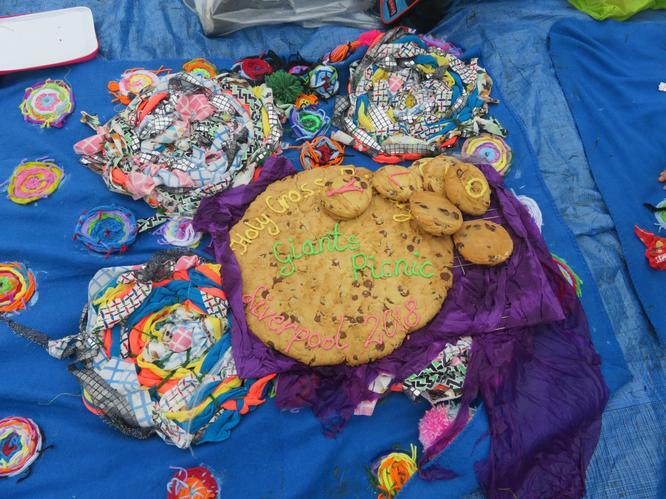 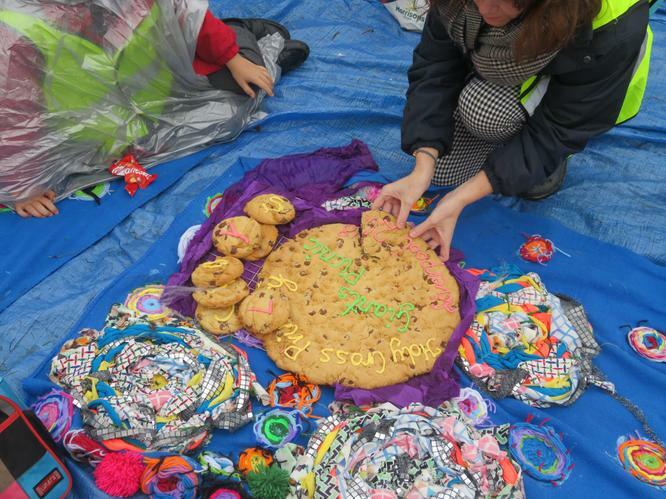 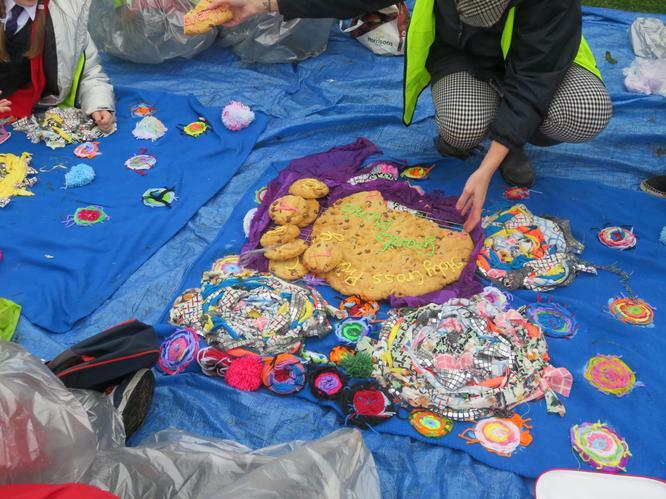 They brought along the picnic blanket they made as well as the giant cookies from lunch.